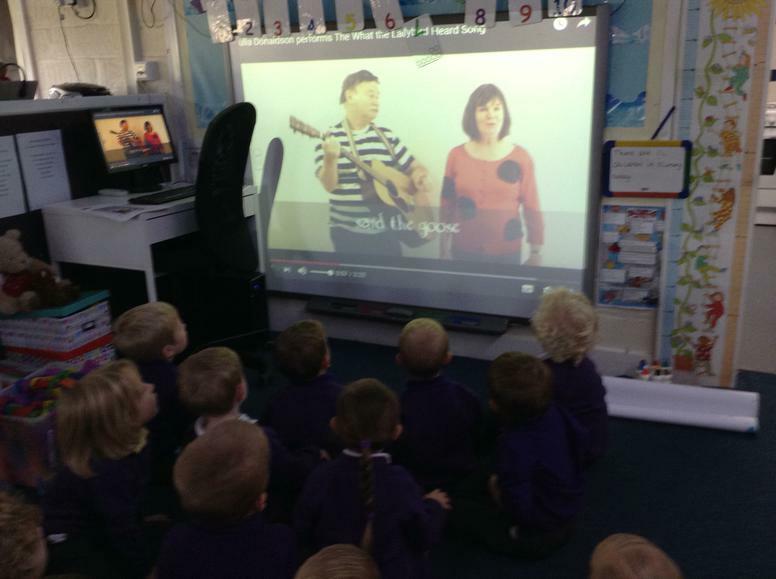 HAVE A LOOK AT HOME - THERE ARE LOTS MORE TO LISTEN TO AND JOIN IN WITH! 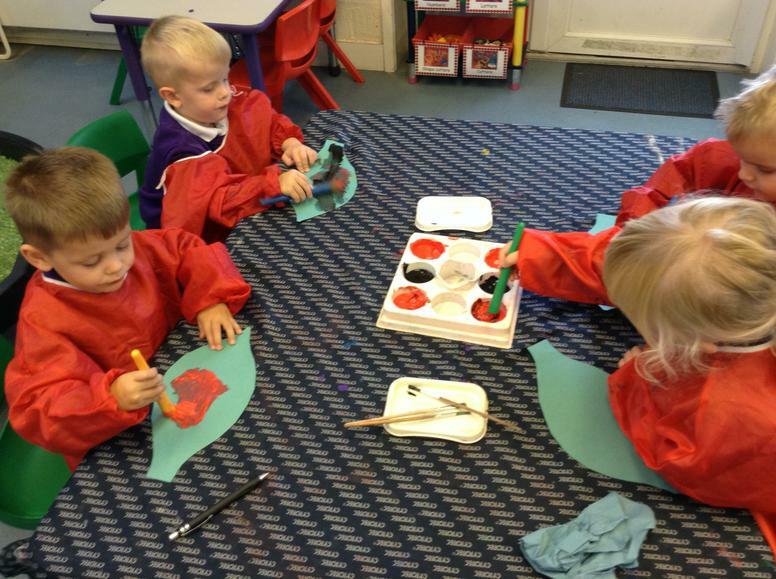 PLEASE COME AND JOIN US FOR SOME CHRISTMAS FESTIVITIES. 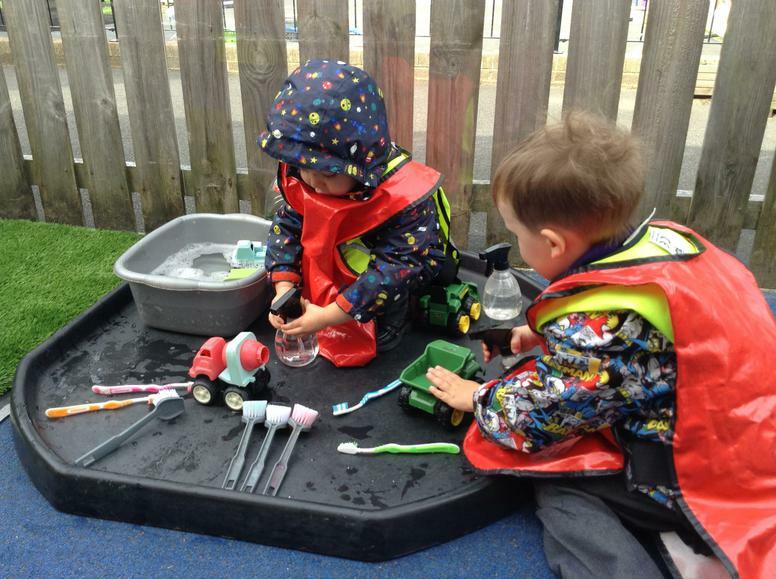 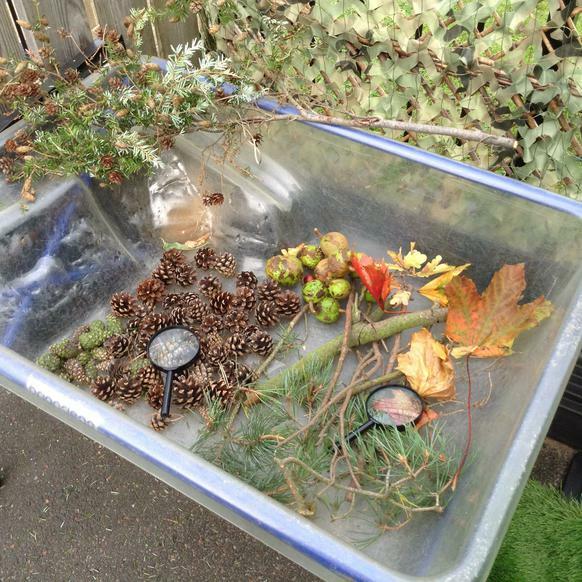 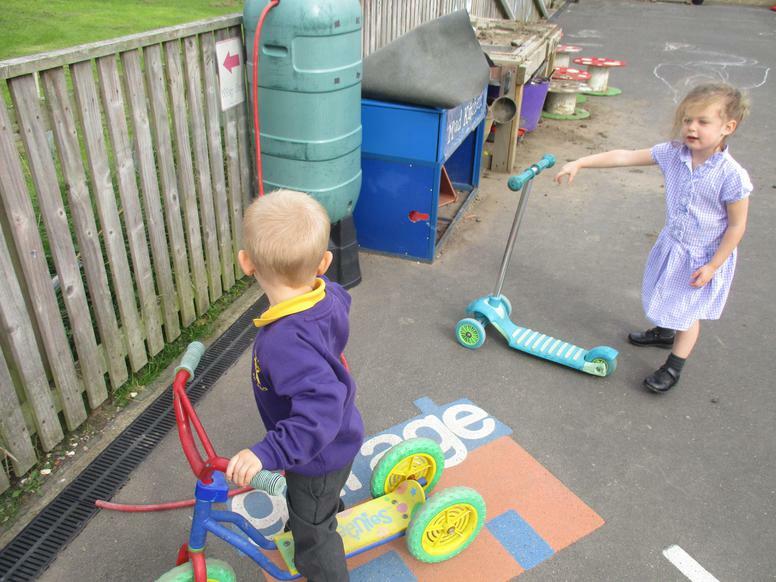 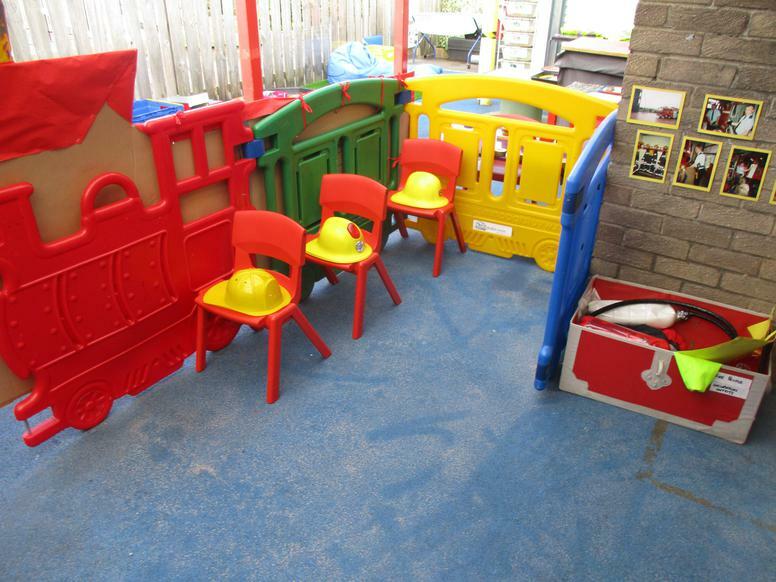 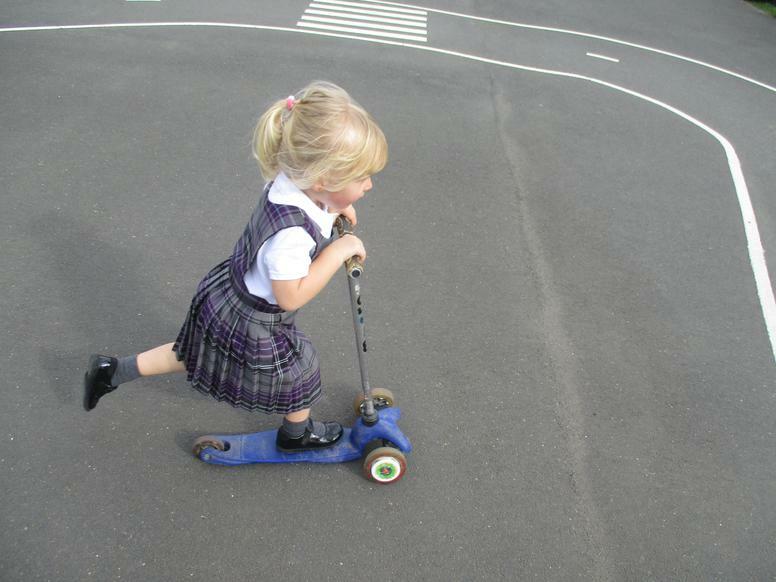 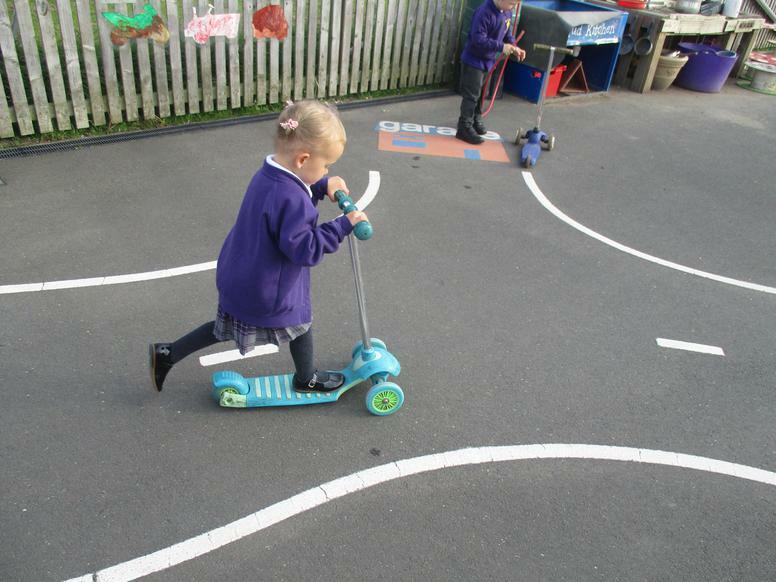 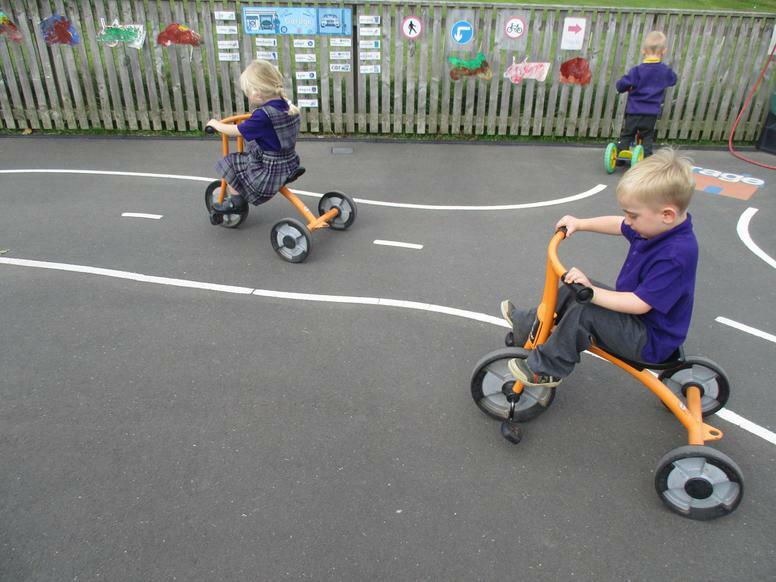 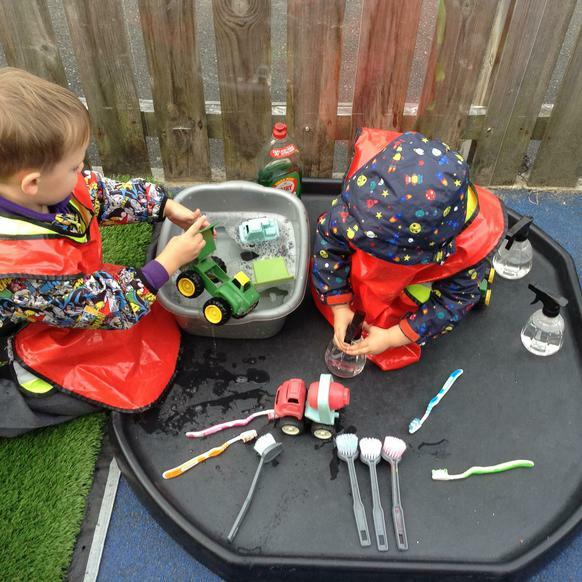 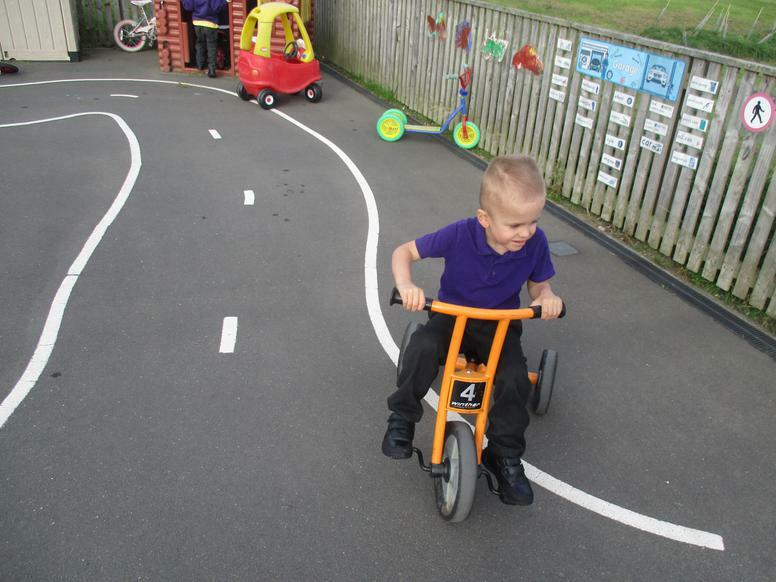 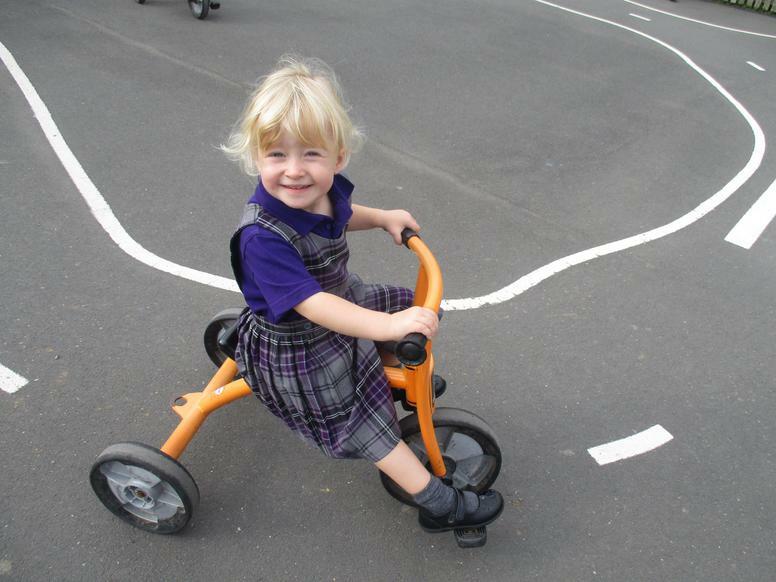 Large, gross motor skills activities outside in the early years yard. 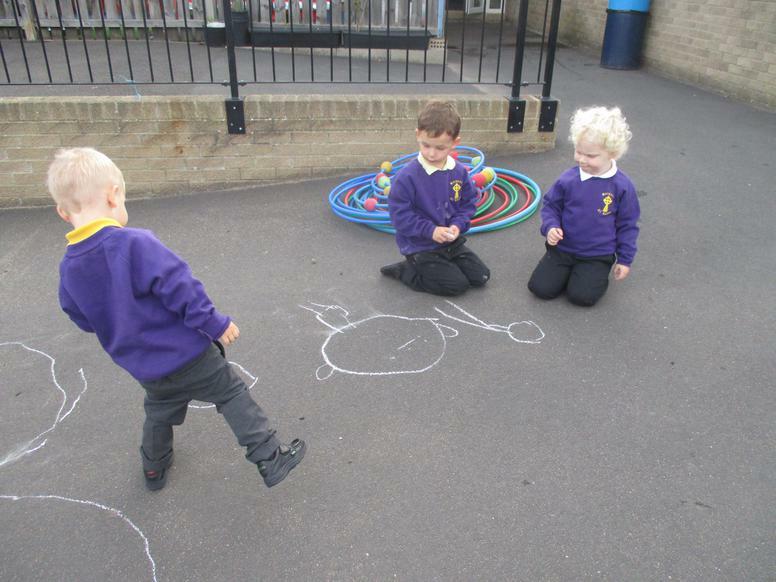 We started the session with a listening game. 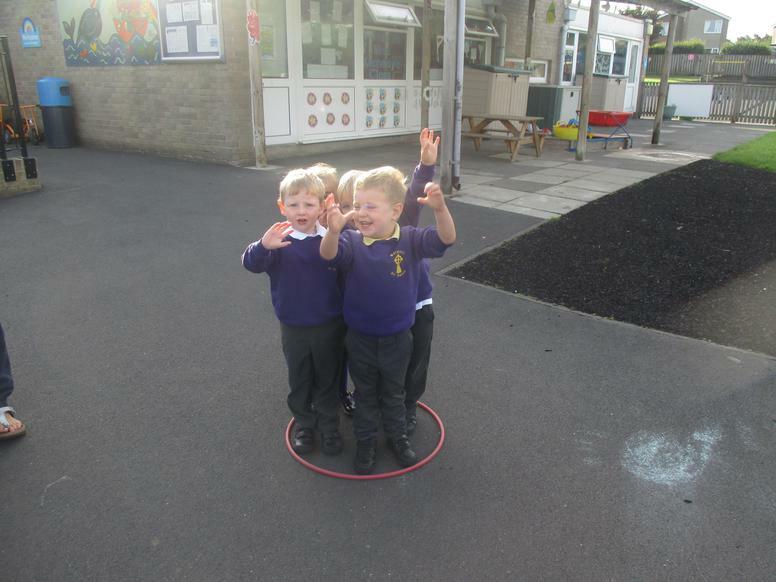 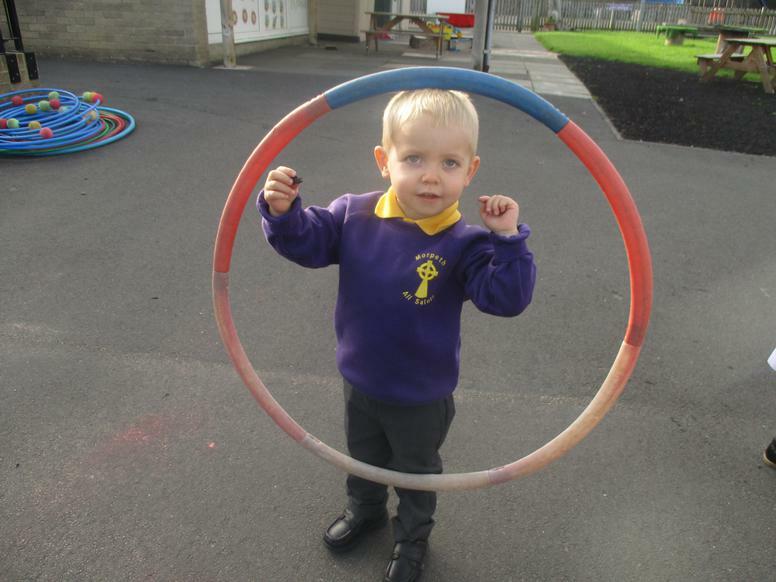 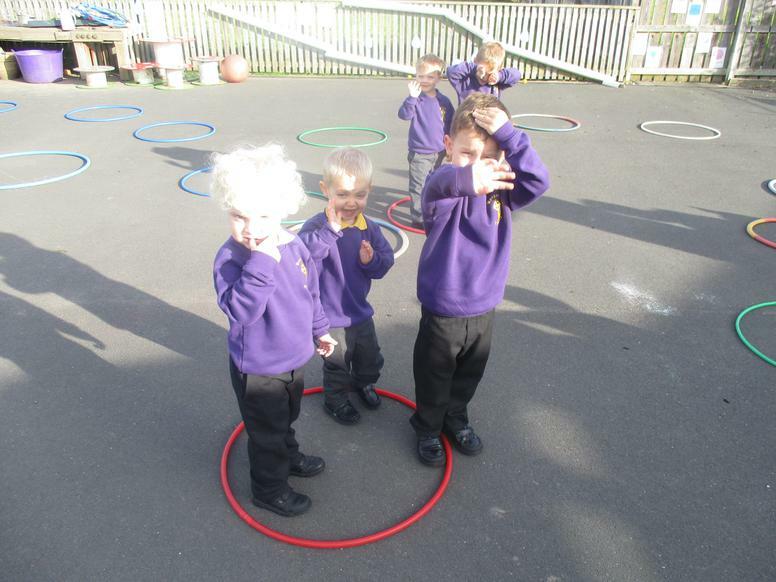 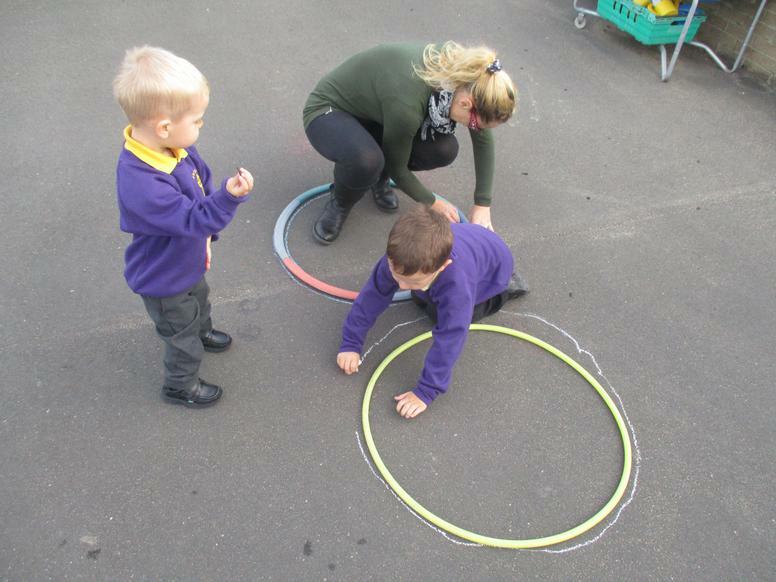 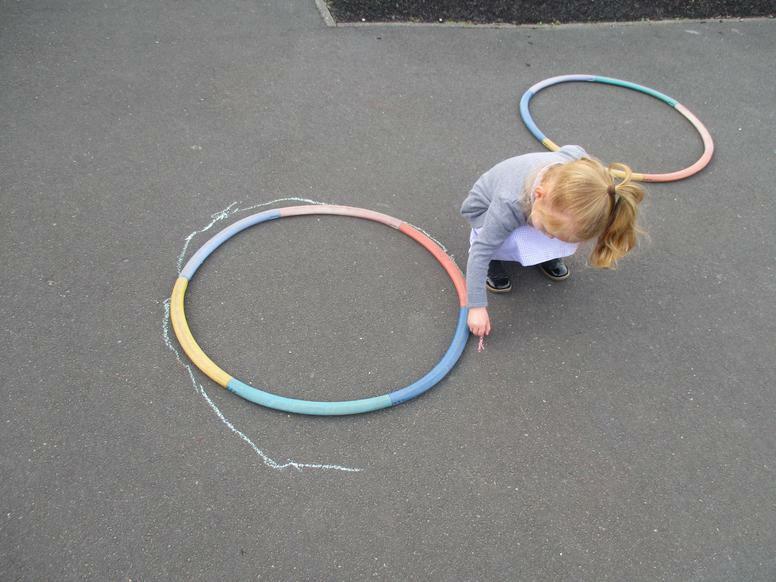 The children had to follow instructions and move between the hoops on the floor. 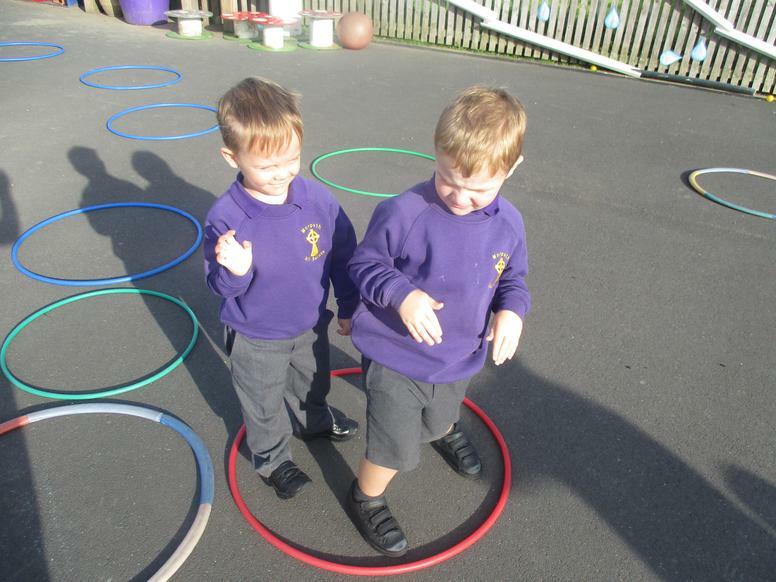 This involved remembering their colours - "Can you stand in a green hoop?" 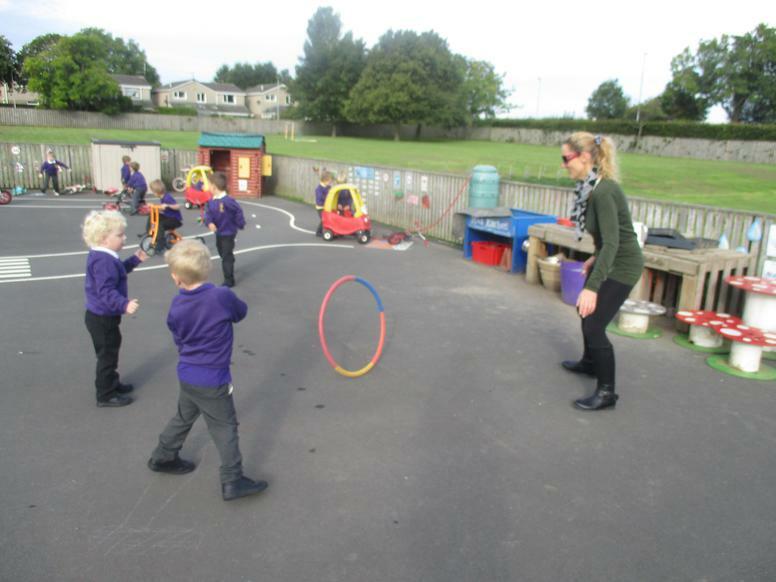 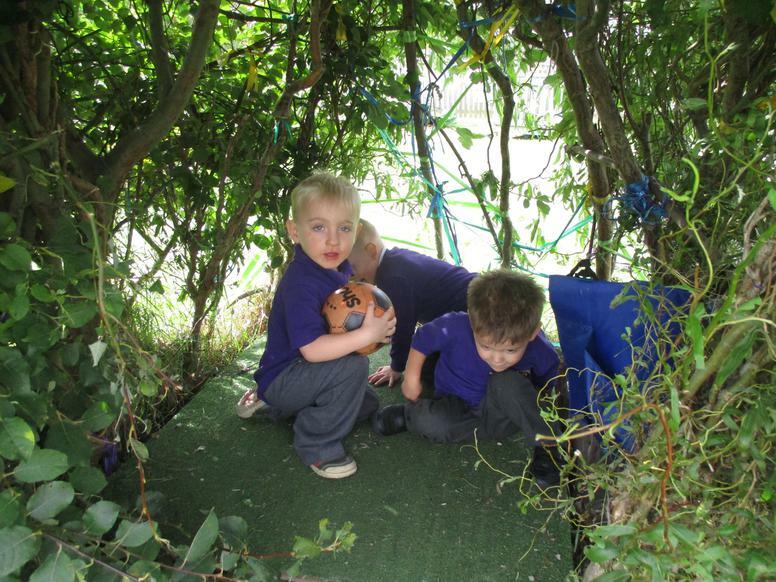 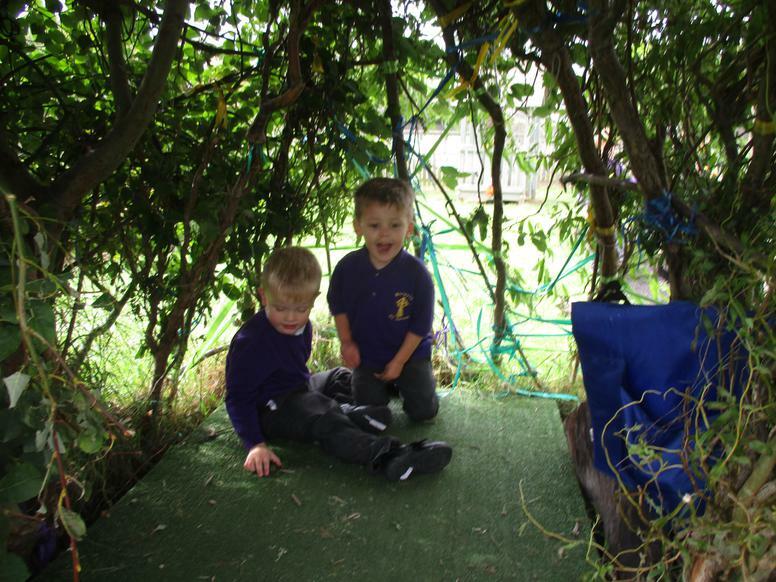 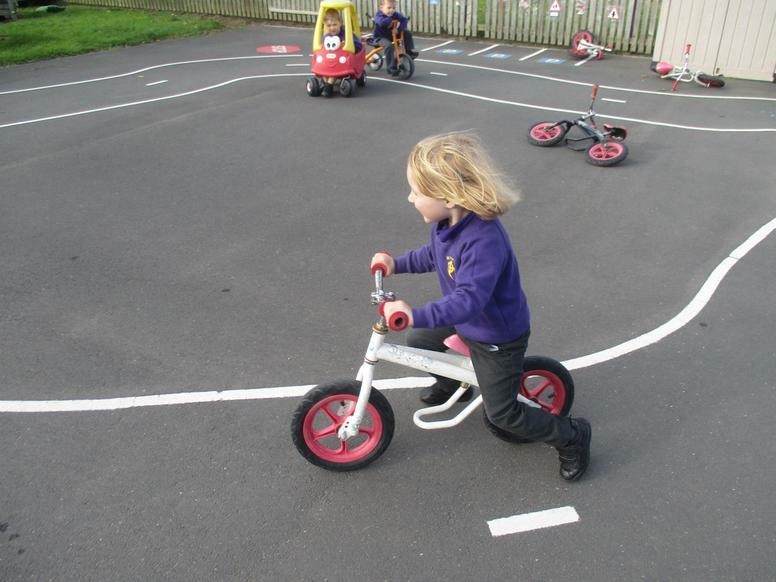 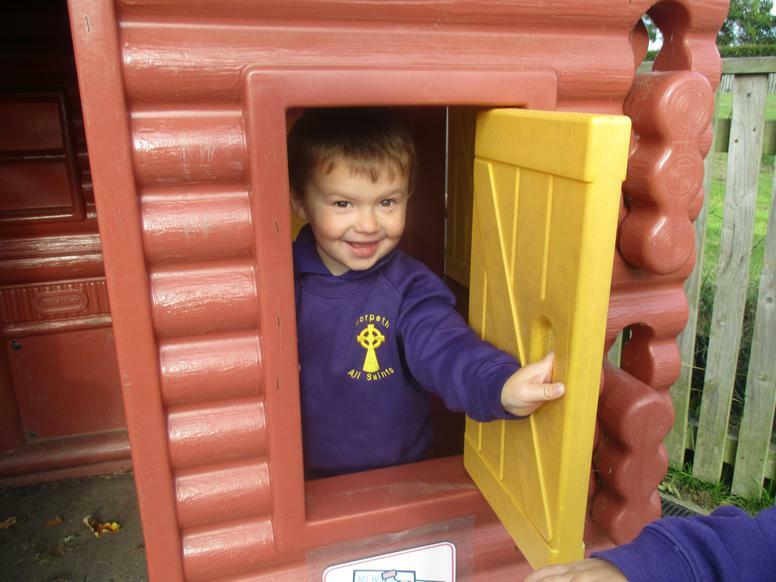 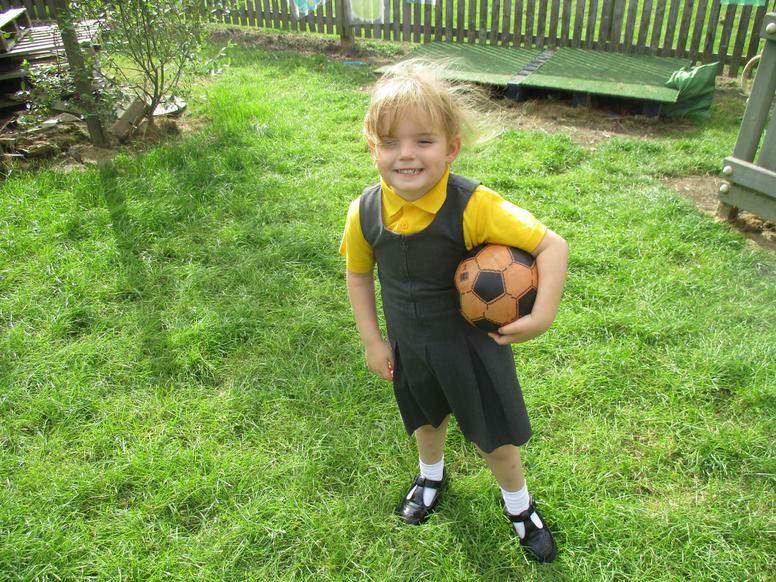 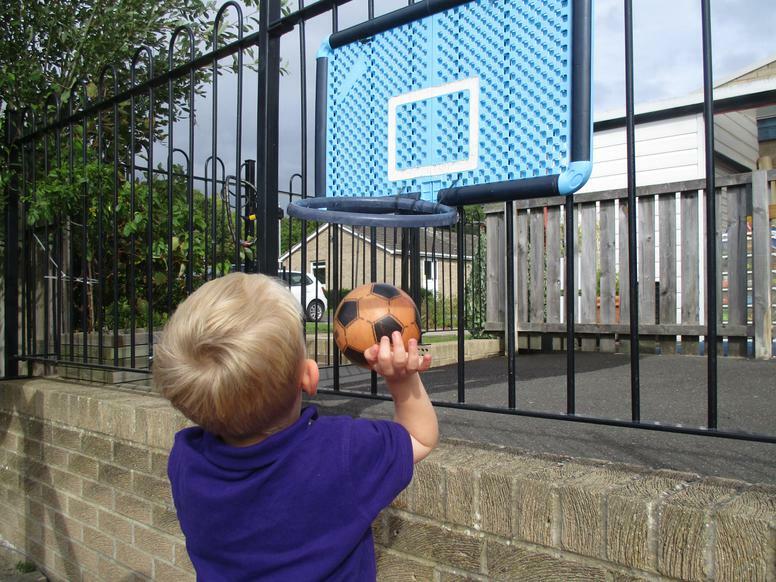 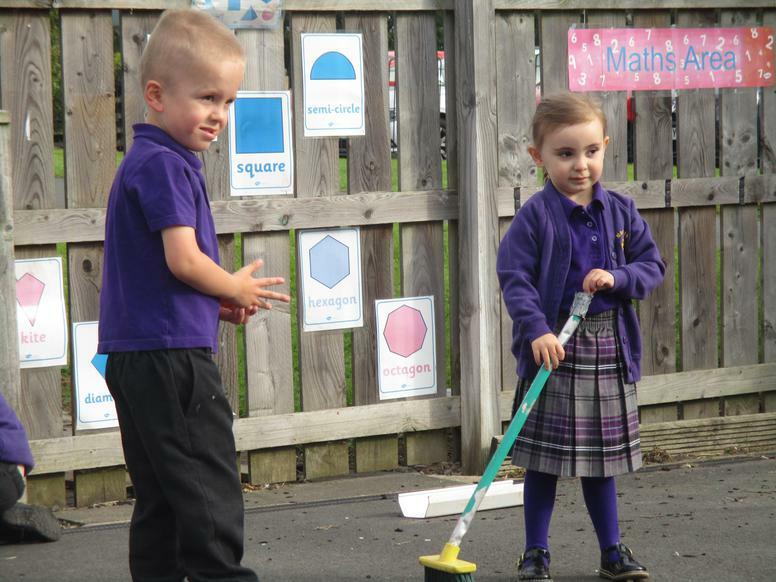 After the whole class game the children were free to access any of the outside provision. 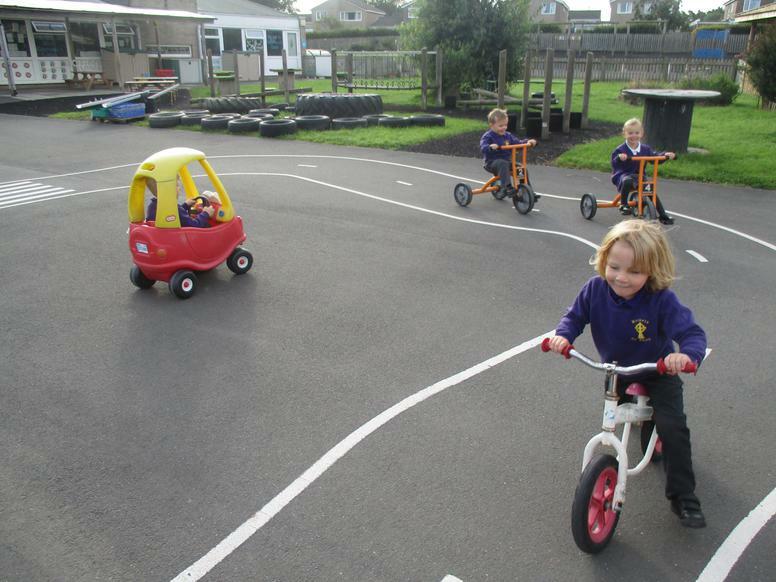 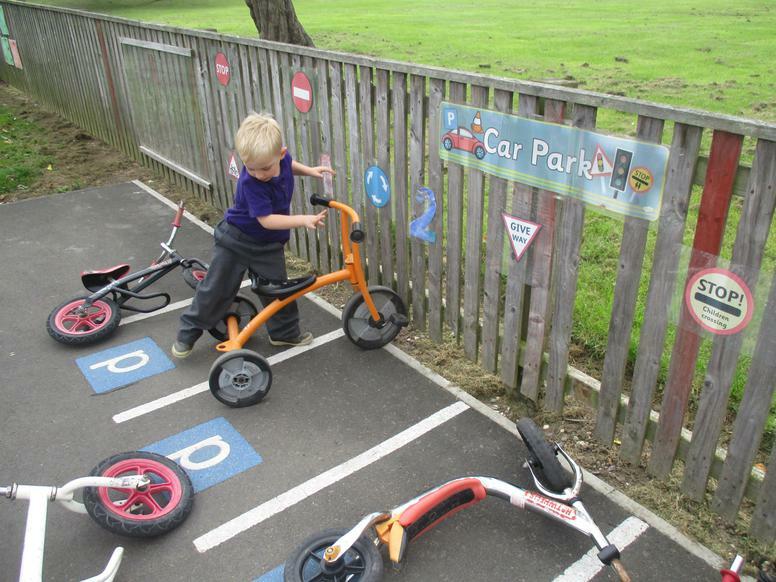 They used the trikes, scooters and bikes. 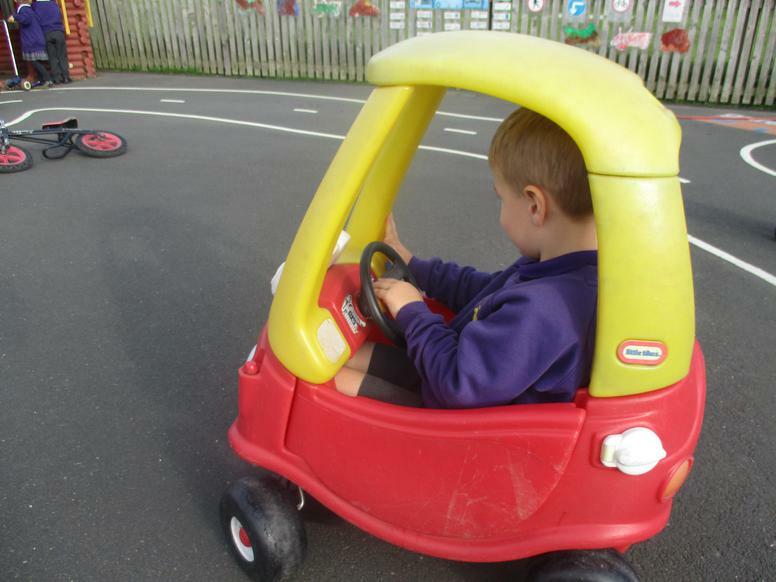 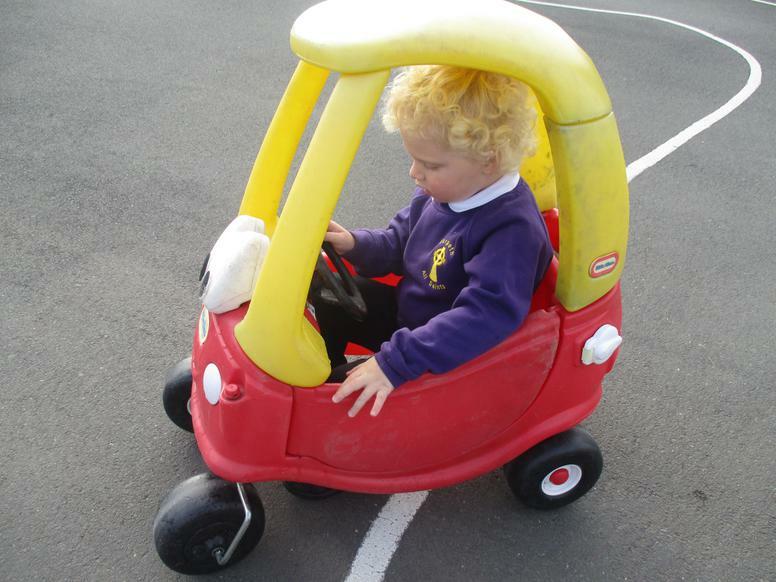 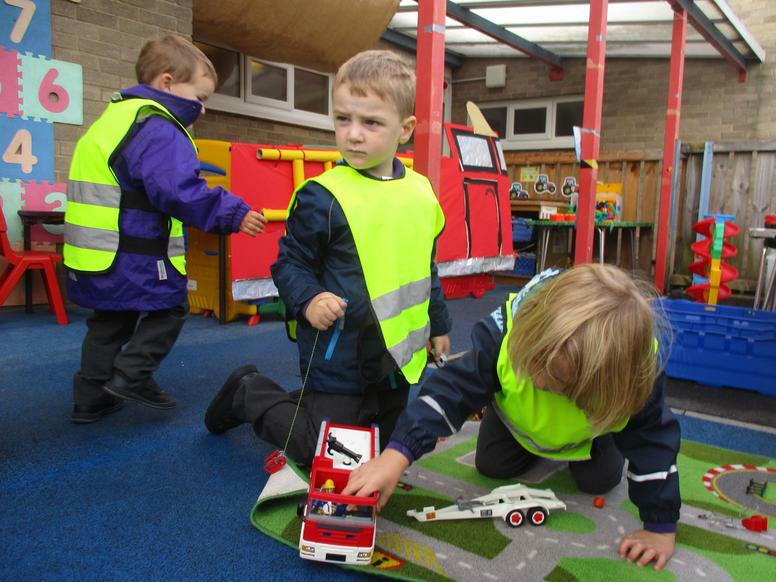 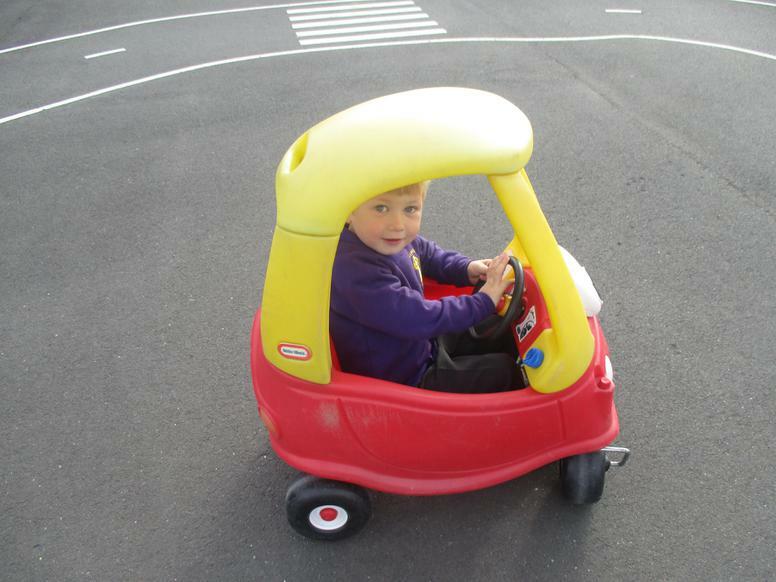 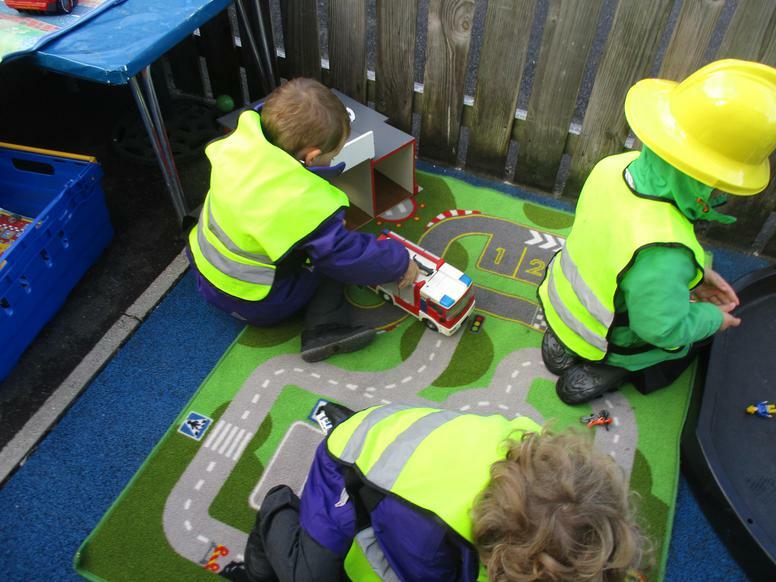 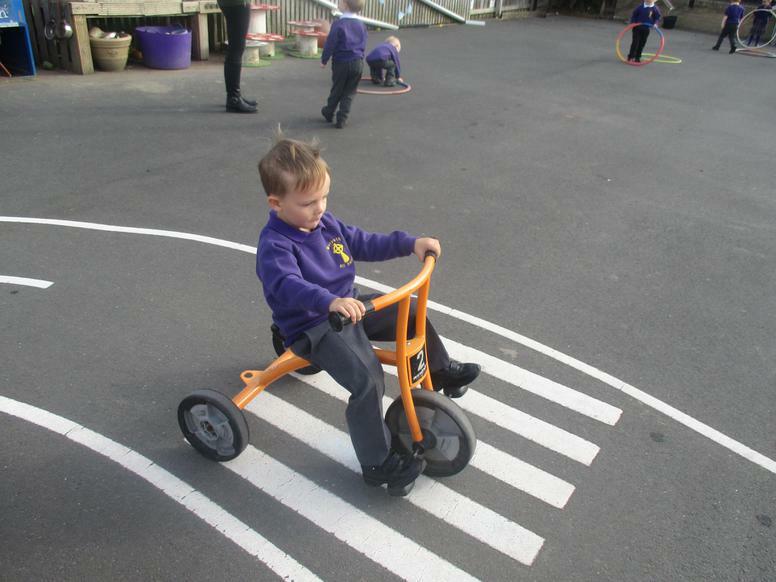 We talked about how to stop at the zebra crossing for the Lollipop man / lady. 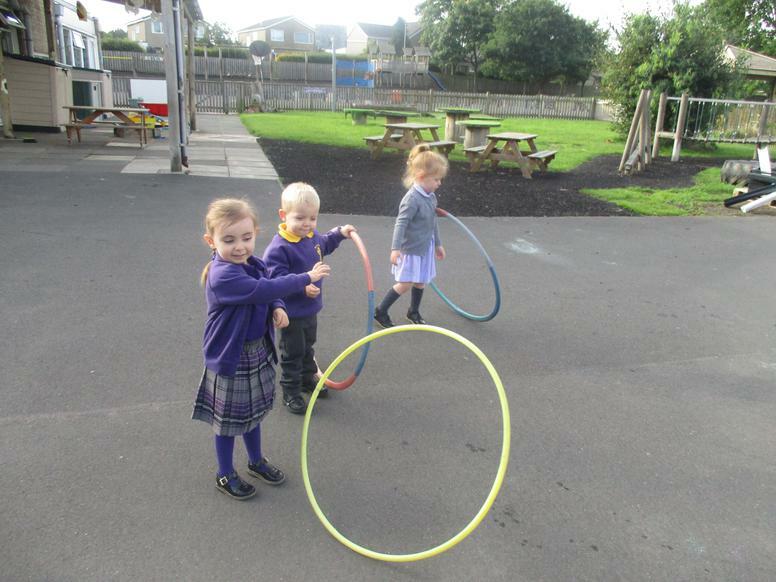 We used the hoops to twist, turn and balance along the floor. 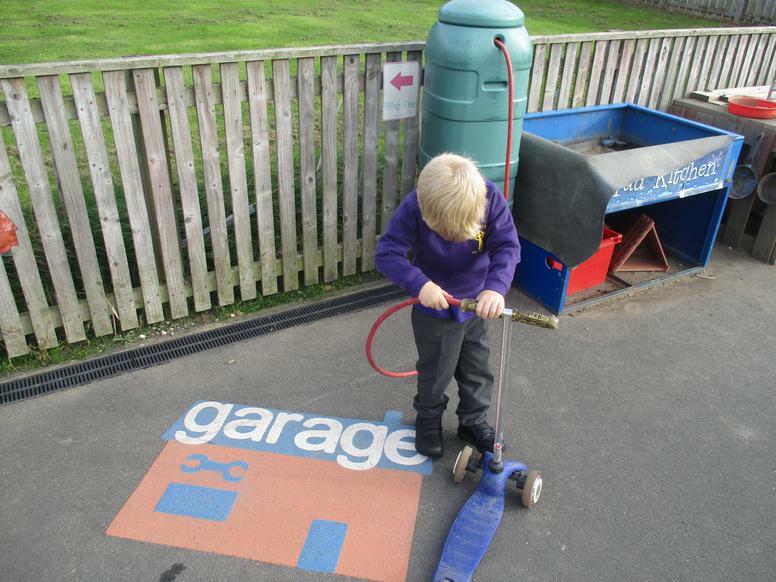 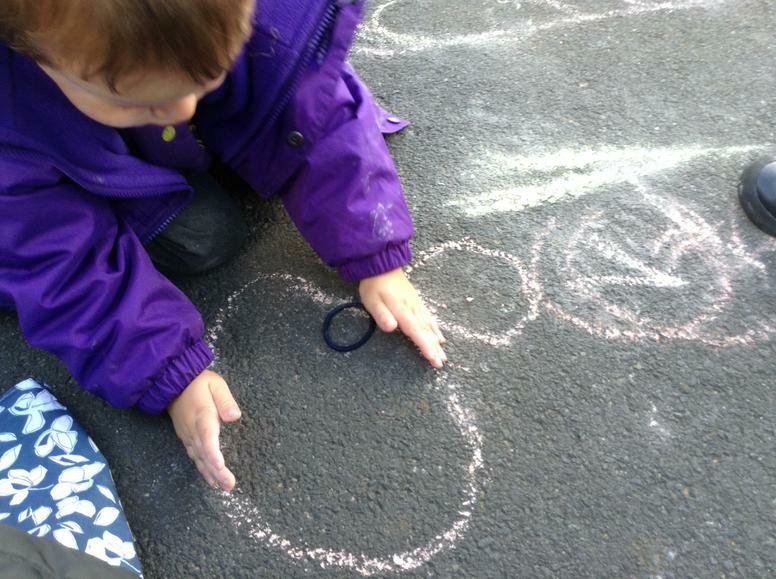 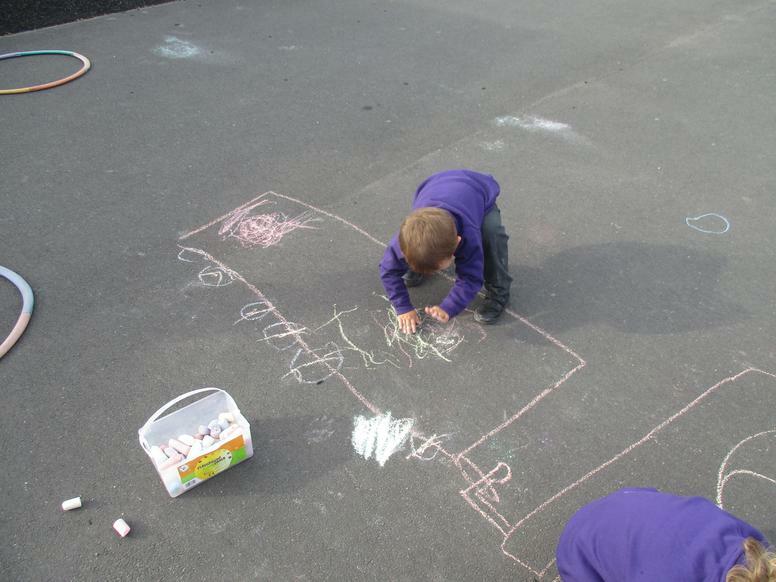 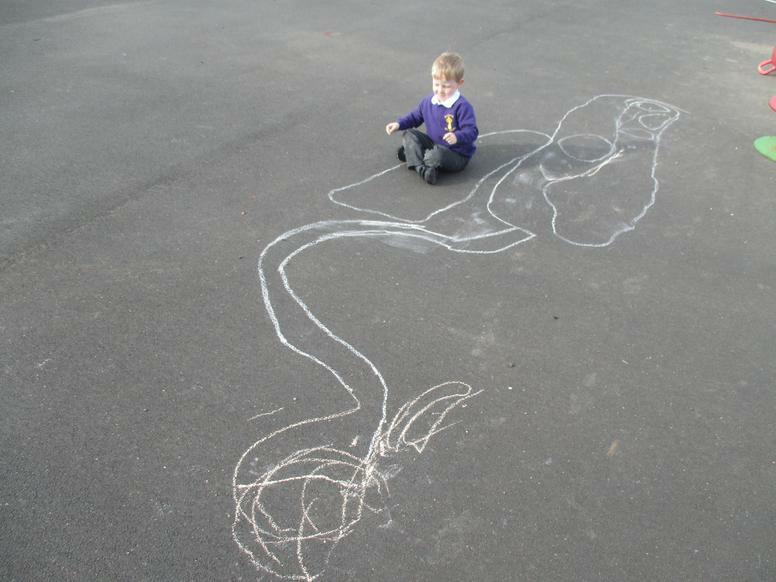 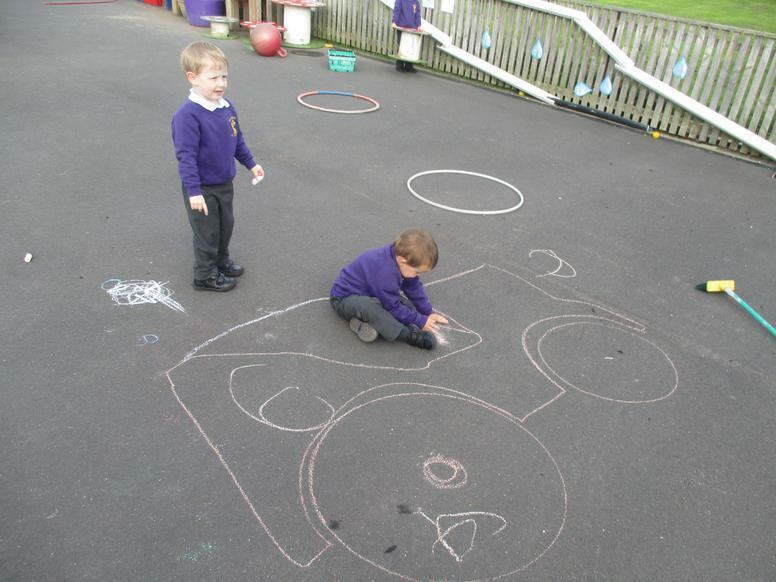 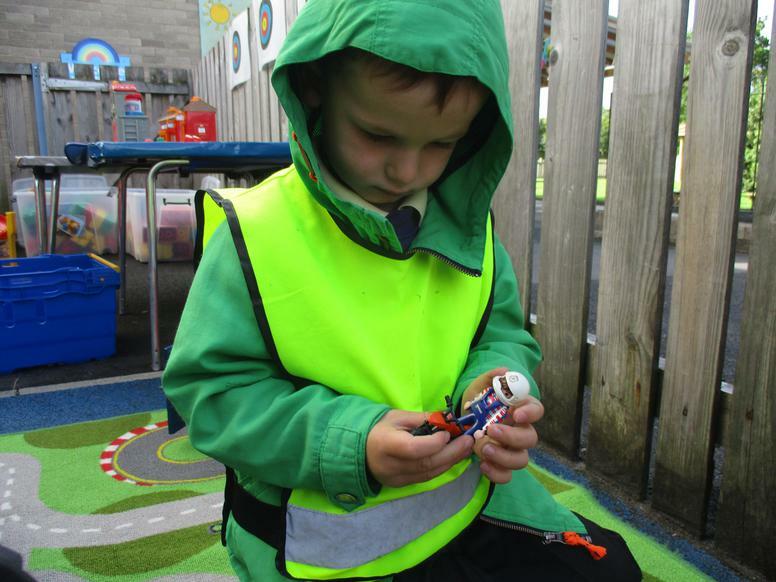 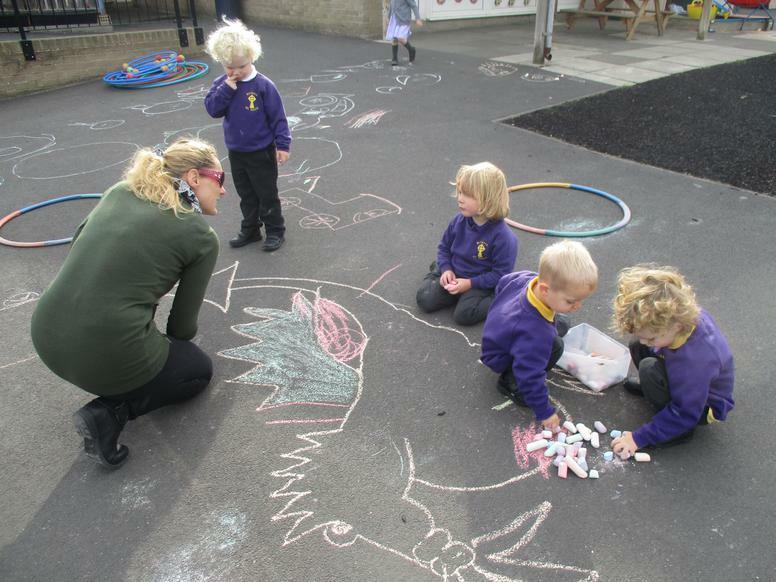 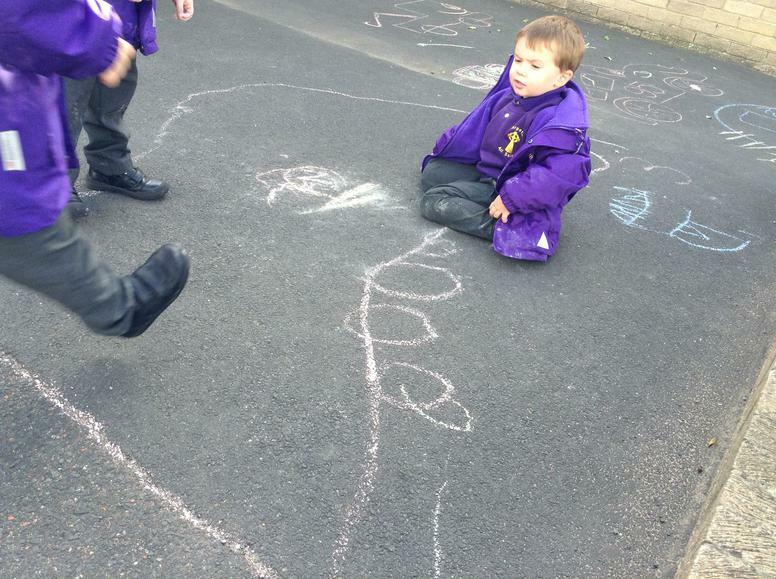 The chalks provided us with lots of fun drawing large scale tractors, excavators and diggers on the yard. 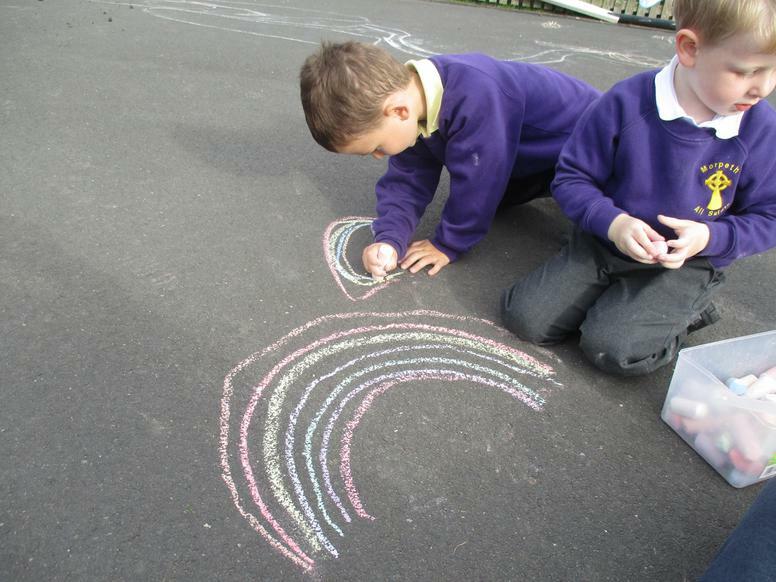 "How do you draw a rainbow?" 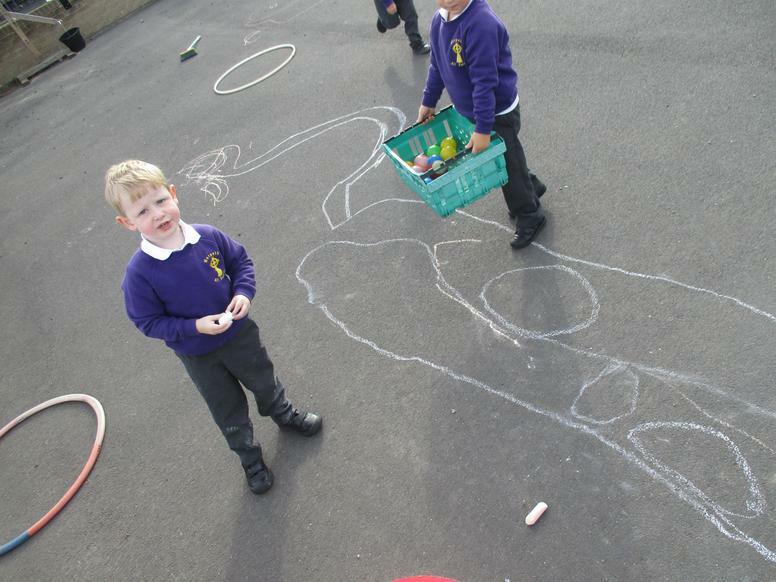 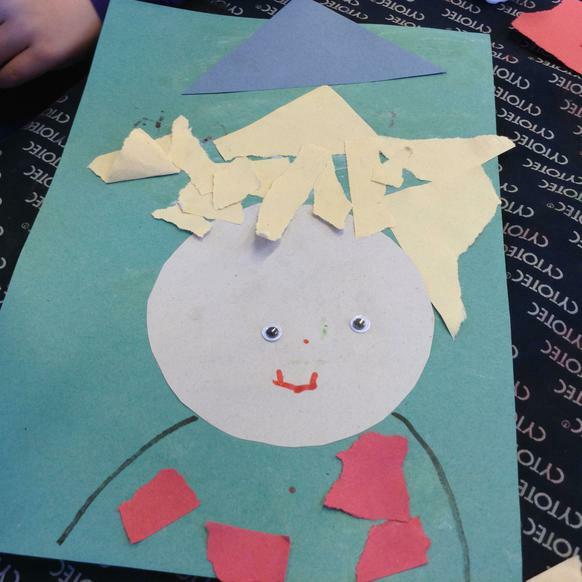 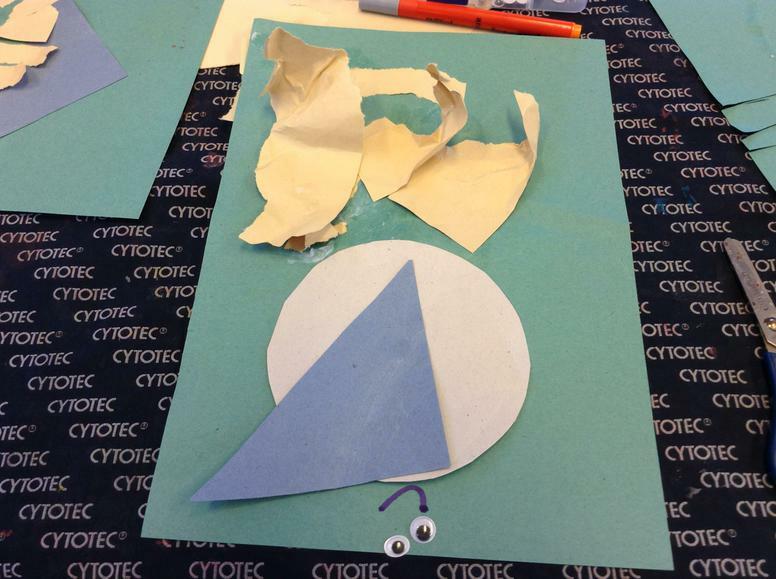 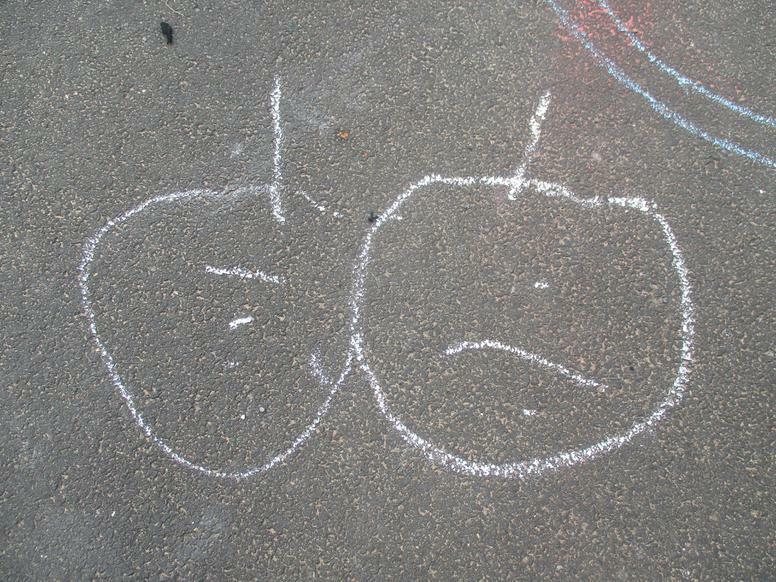 was a question asked, so we all drew our own - copying the adults. 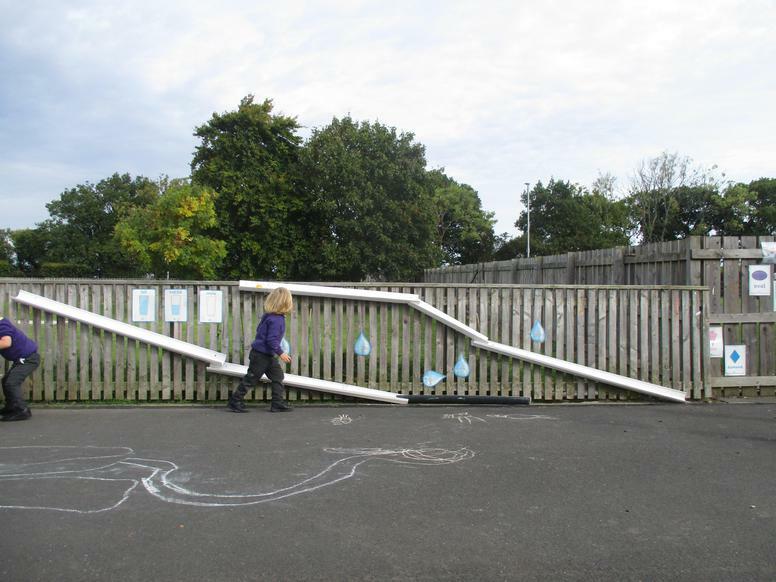 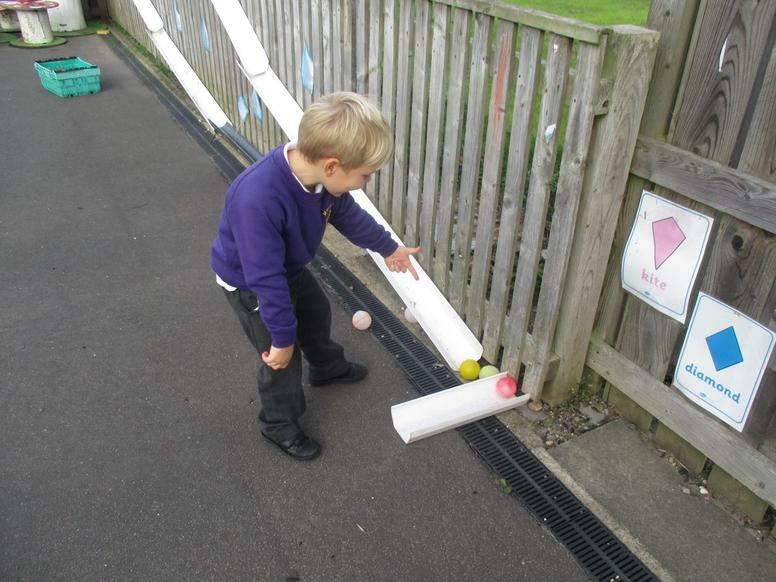 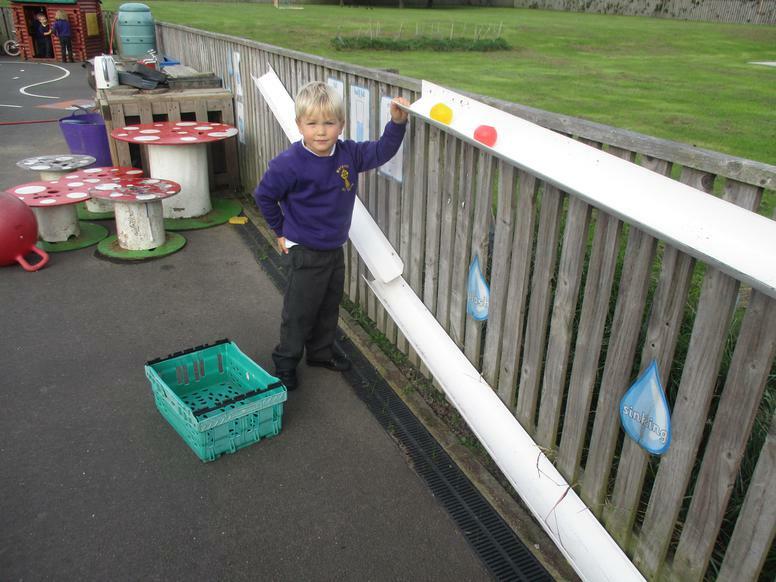 Letting balls travel down the different drainpipes - Could we catch them before they came out of the end? 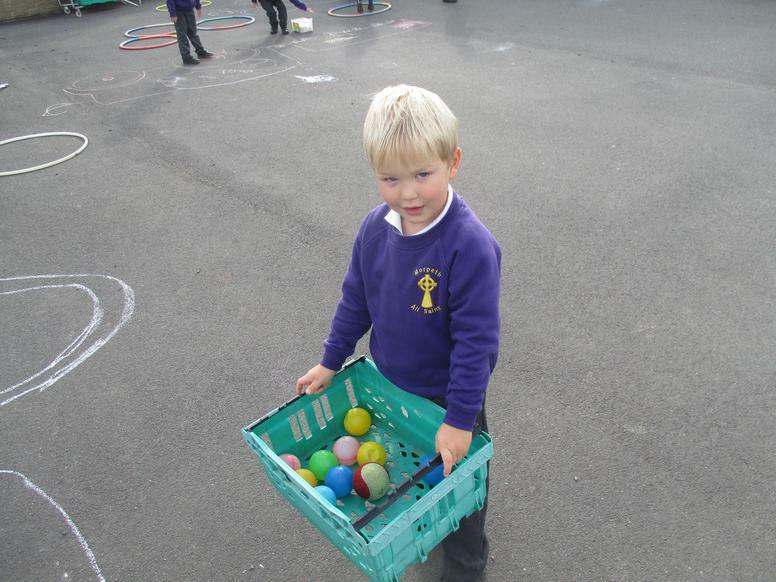 Could we get the large balls in the basket ball hoop? 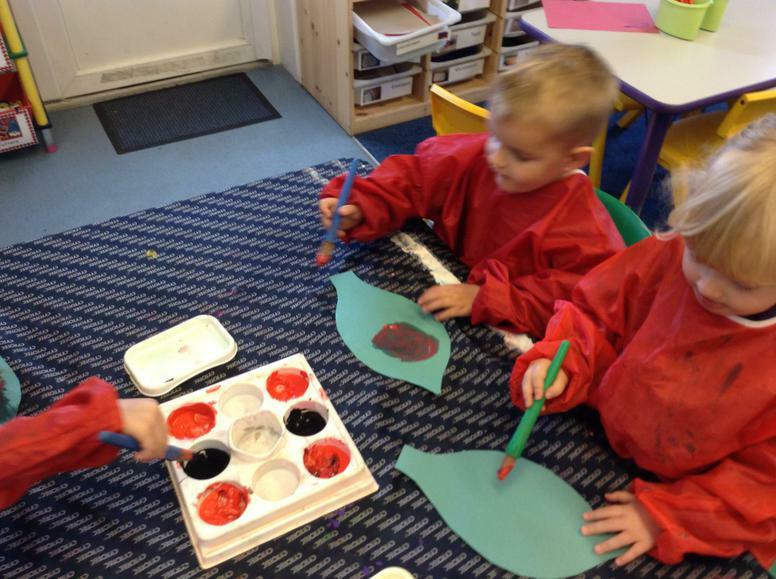 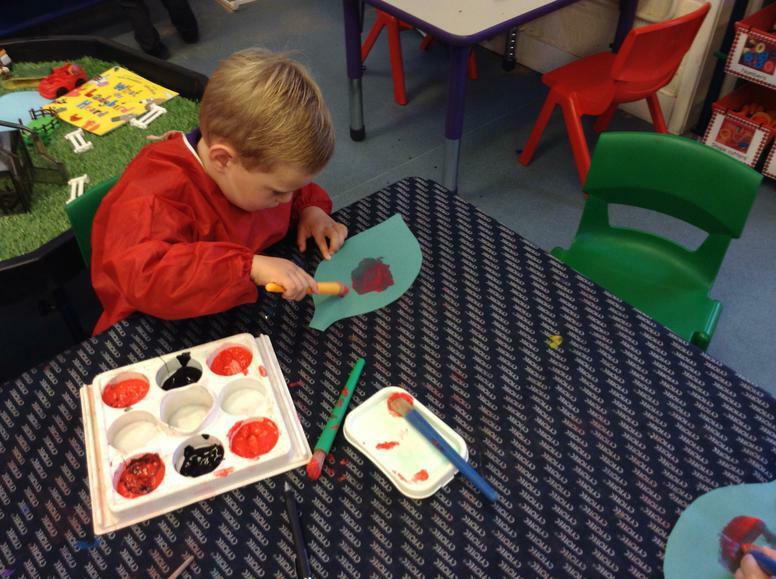 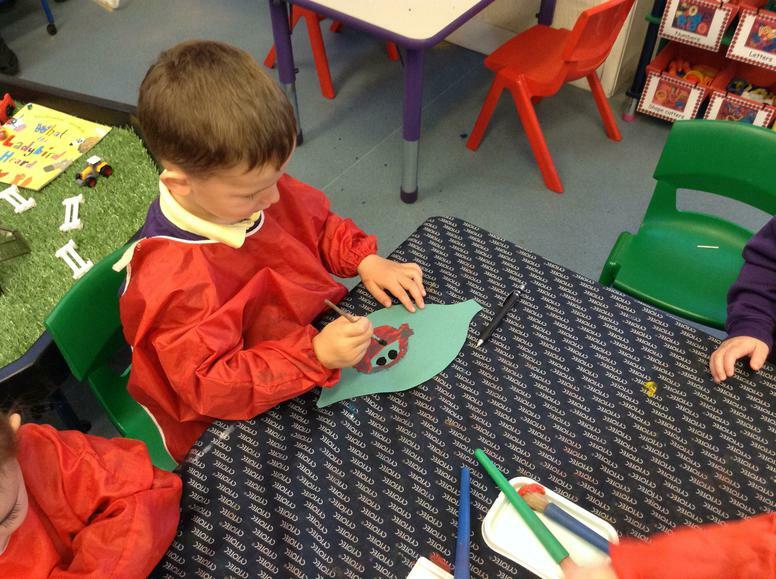 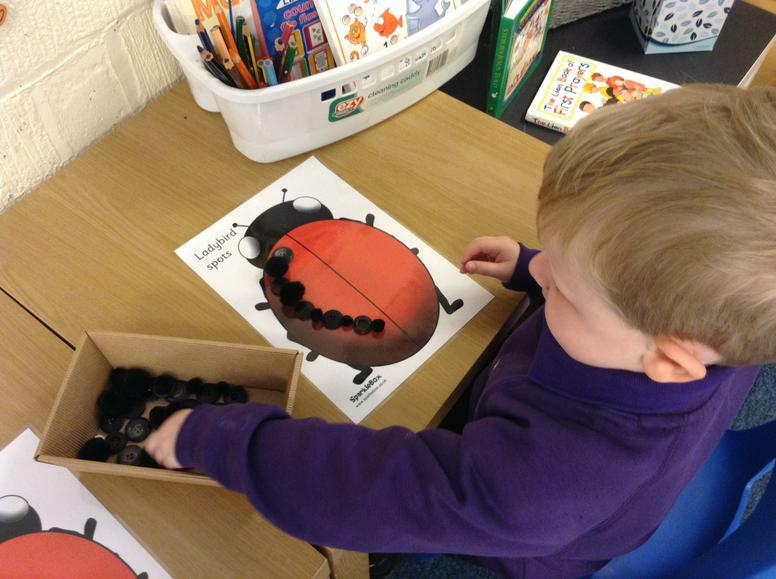 At the end of week 2 we have being learning about the story What The Ladybird Heard by Julia Donaldson. 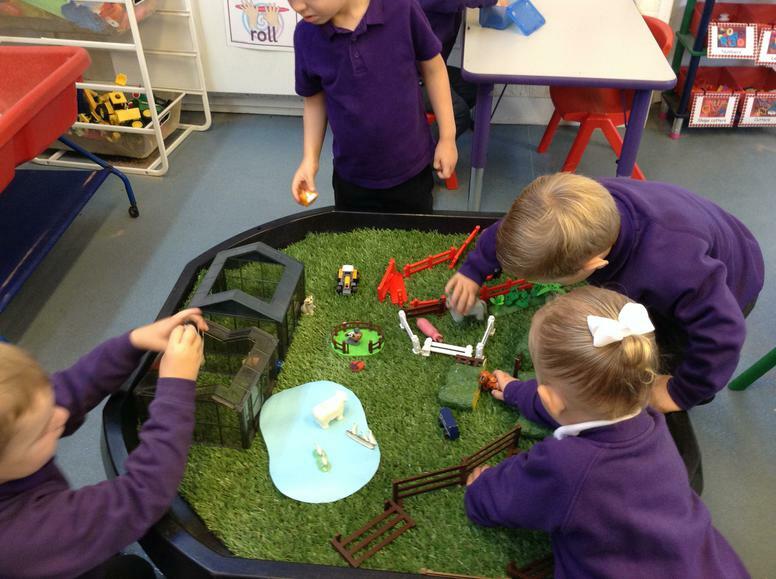 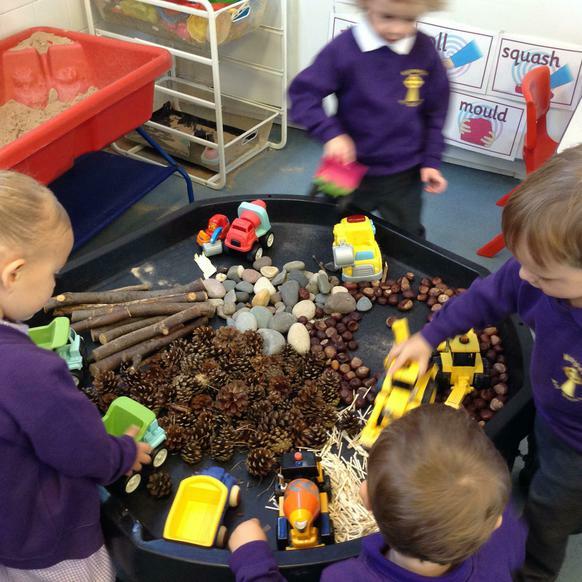 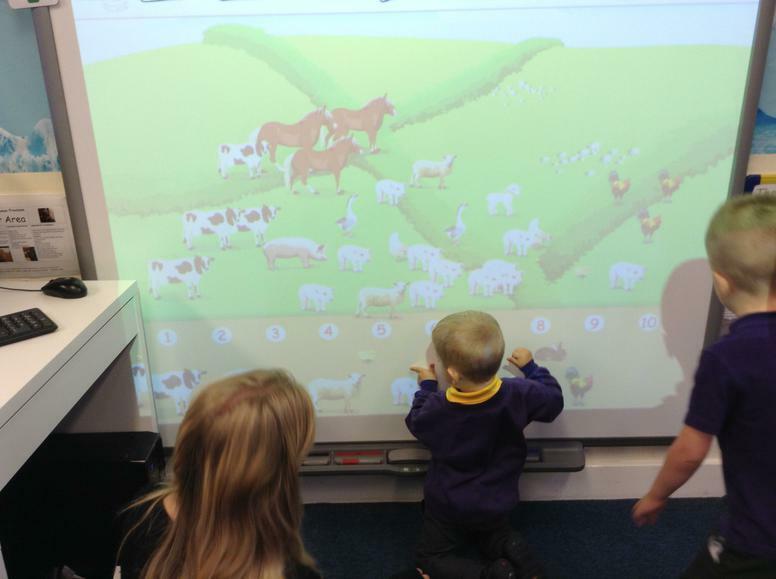 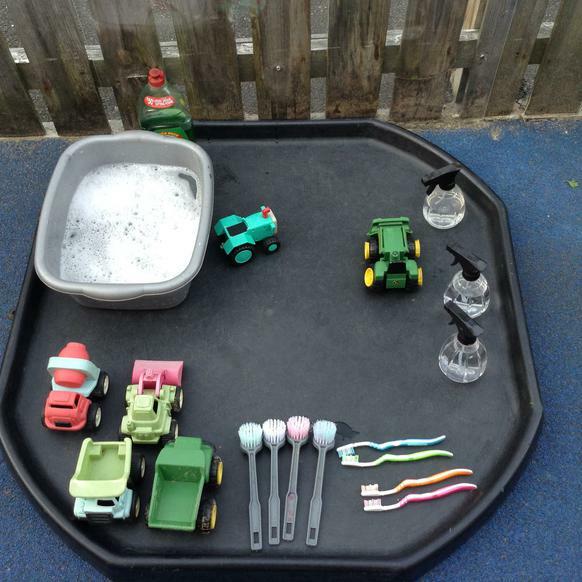 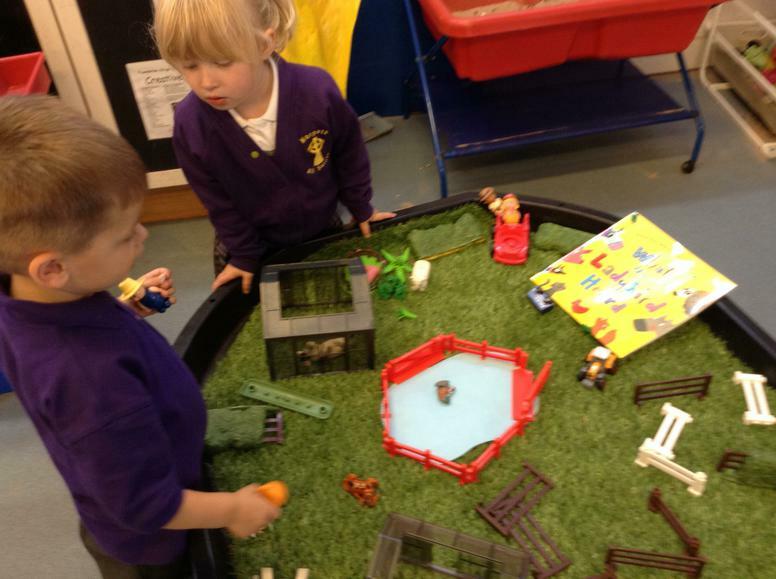 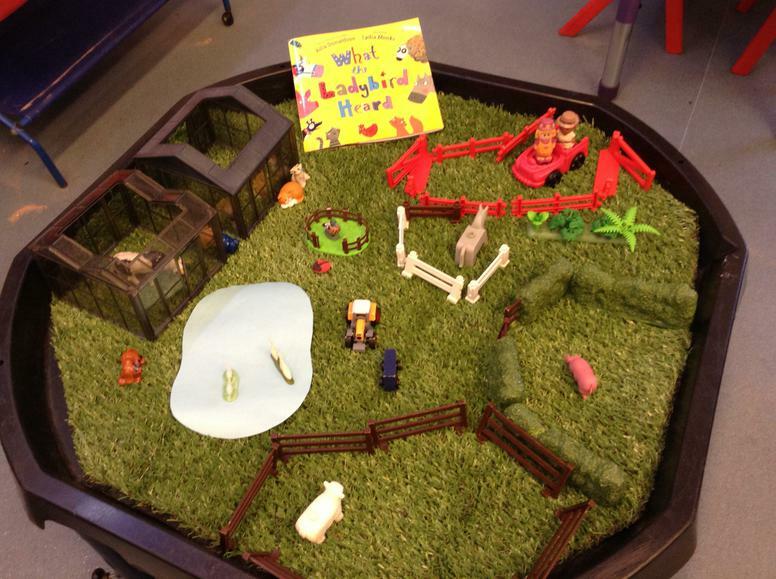 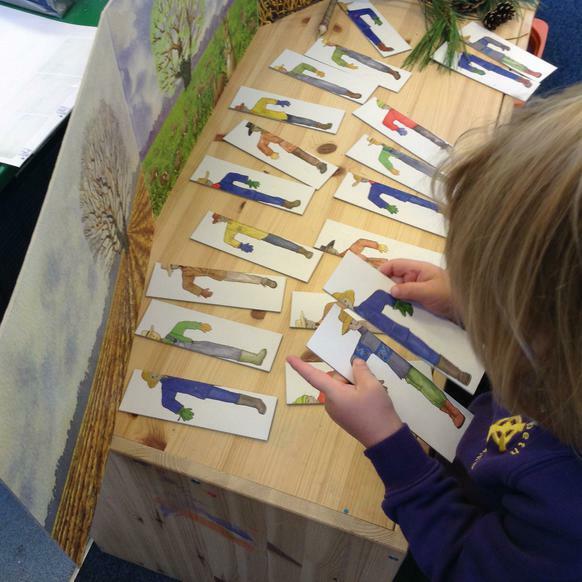 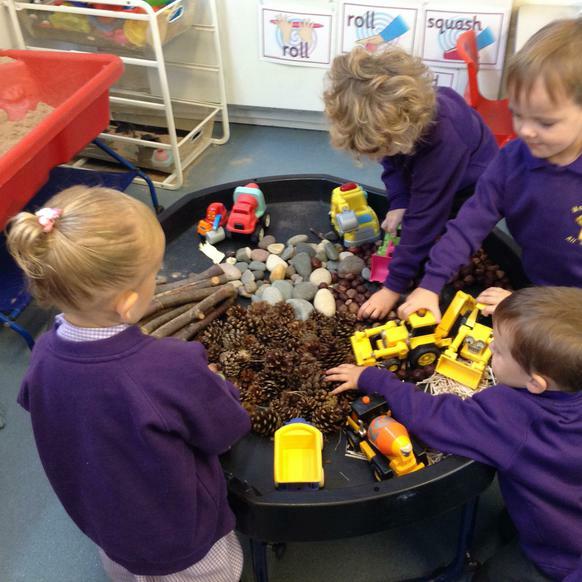 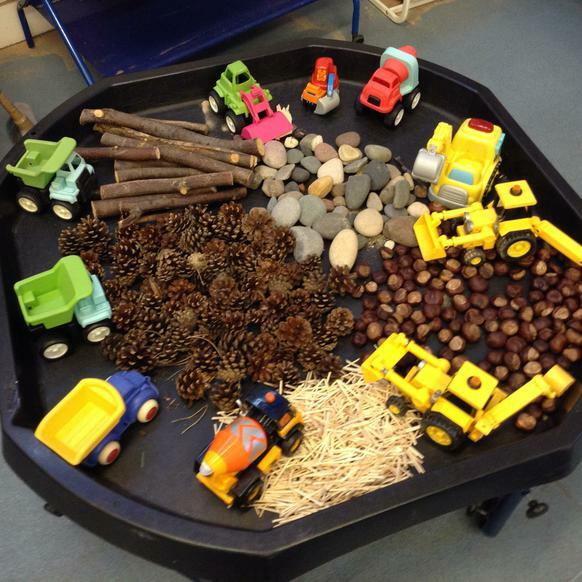 Lots of children are interested in farms and really enjoyed acting out the story with small world in the tuff tray. 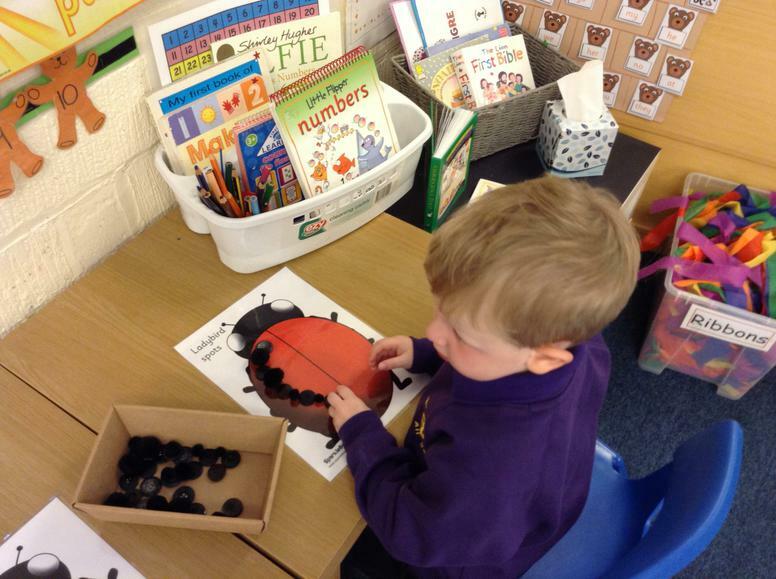 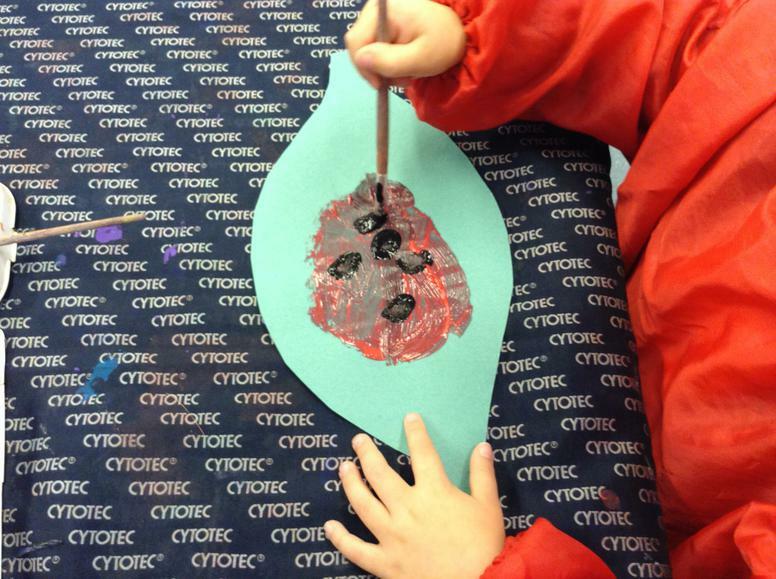 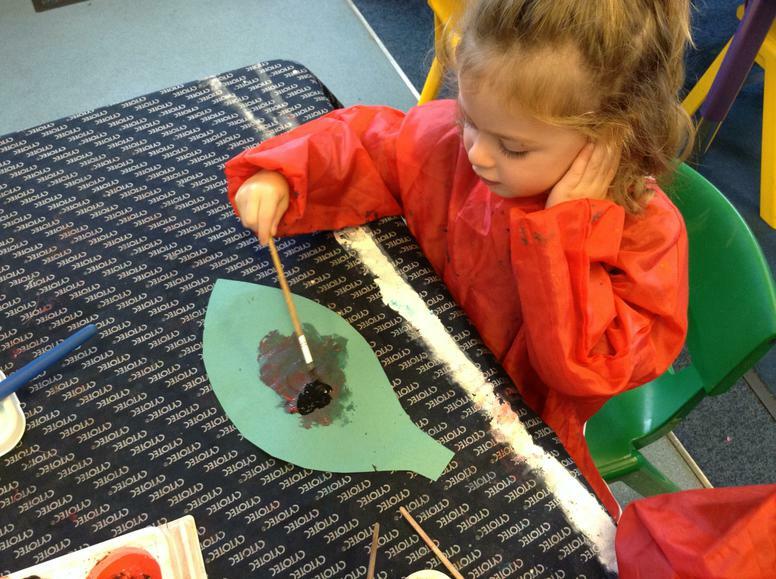 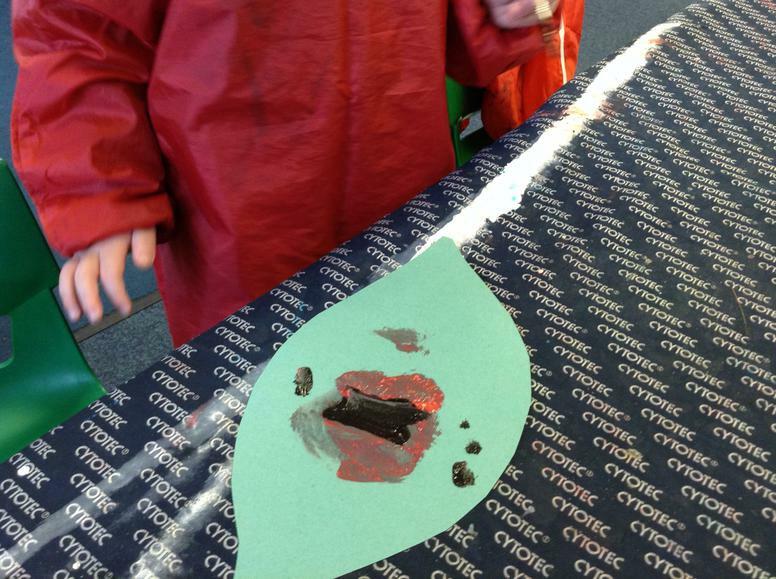 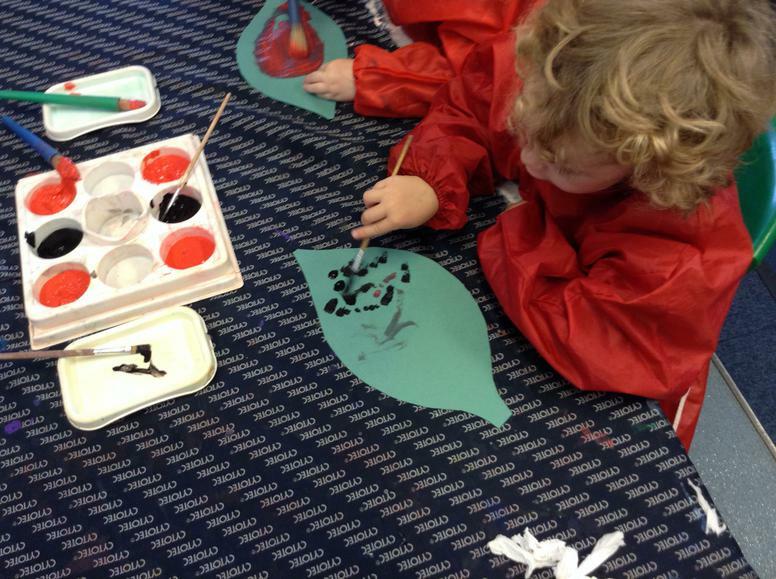 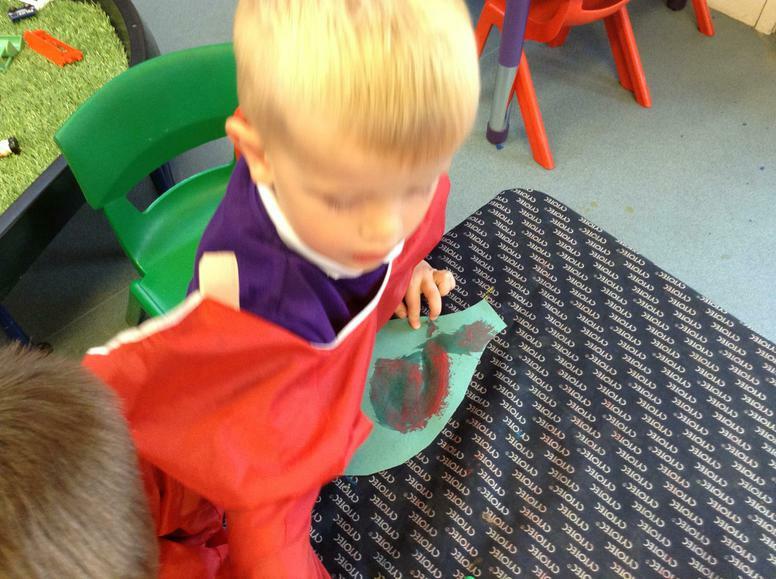 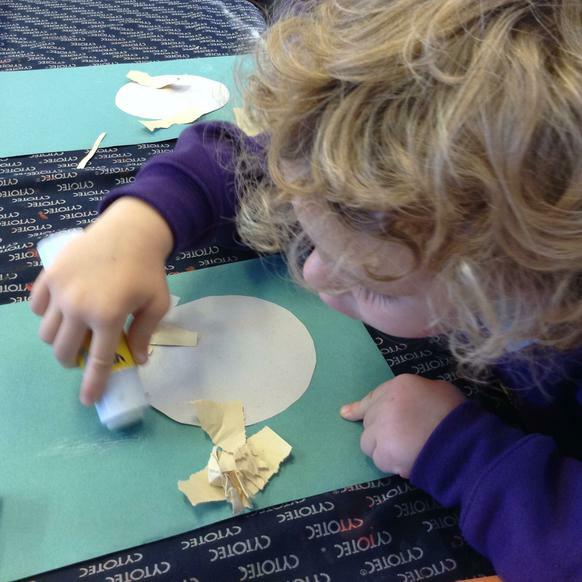 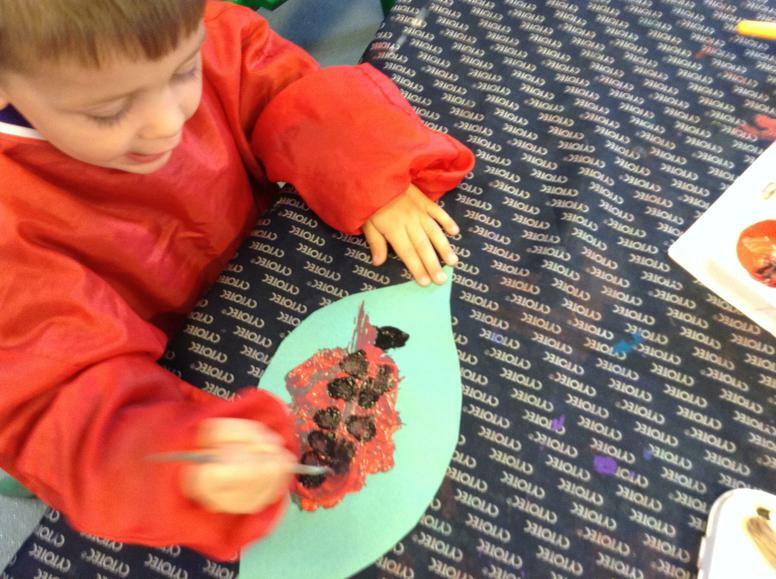 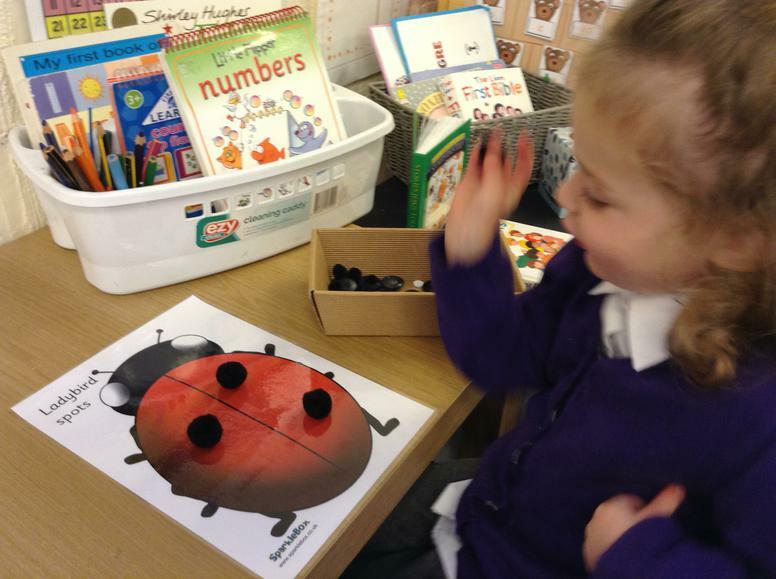 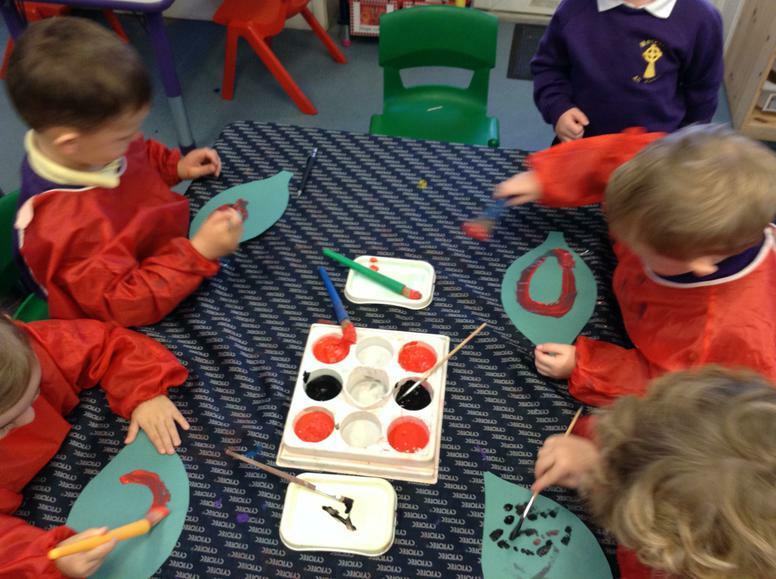 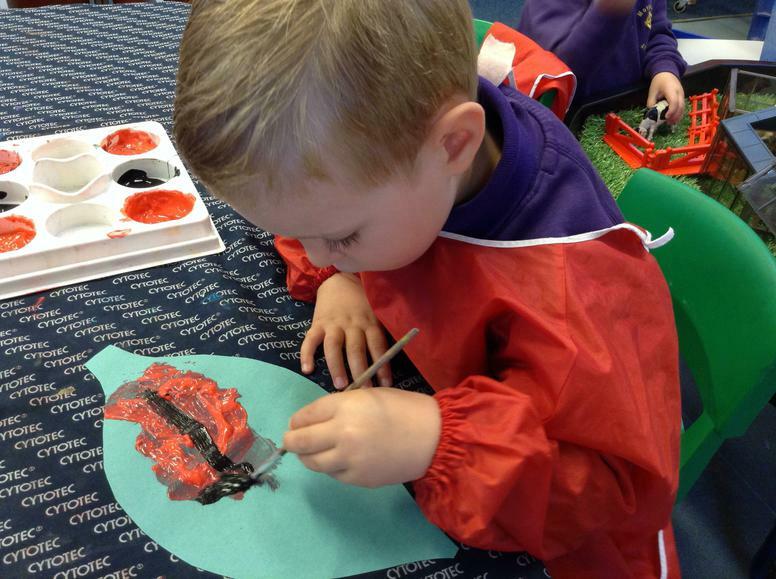 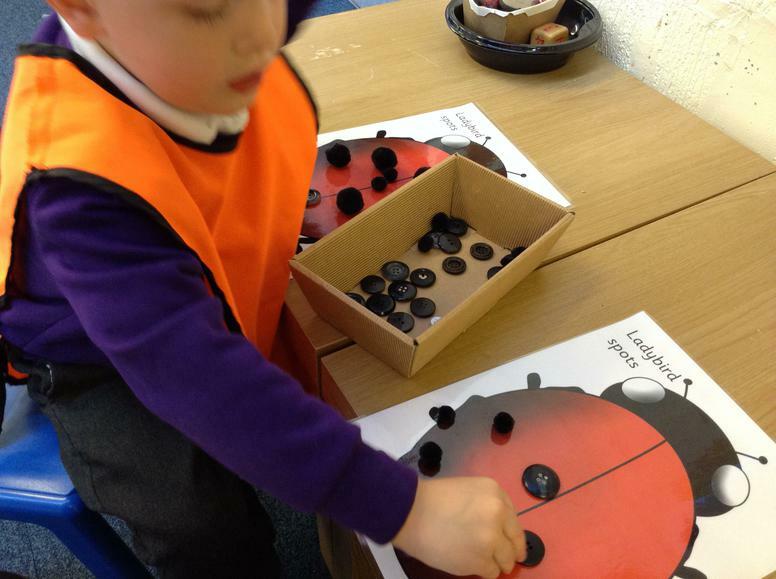 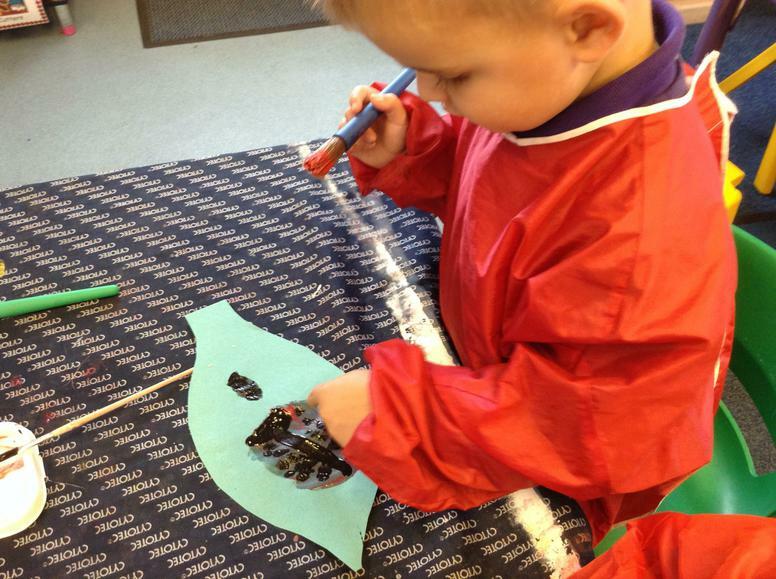 We counted ladybird spots using Top Marks website and even made our own ladybirds on leaves to count. 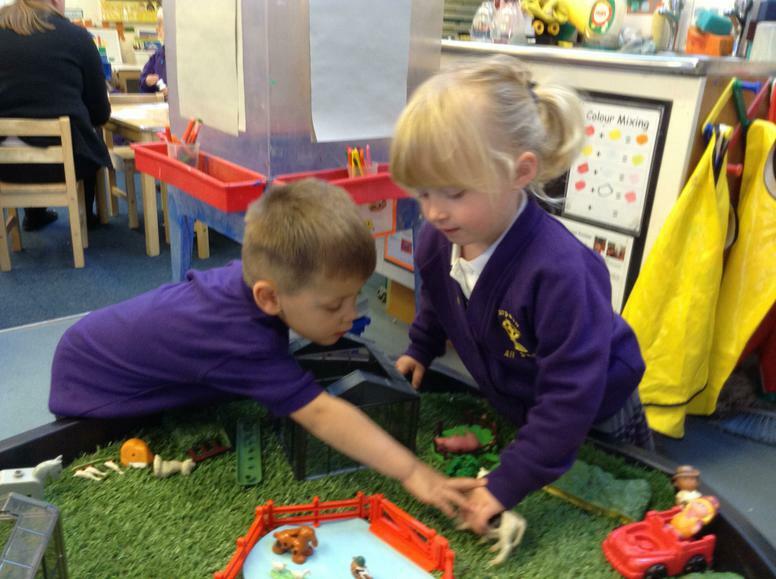 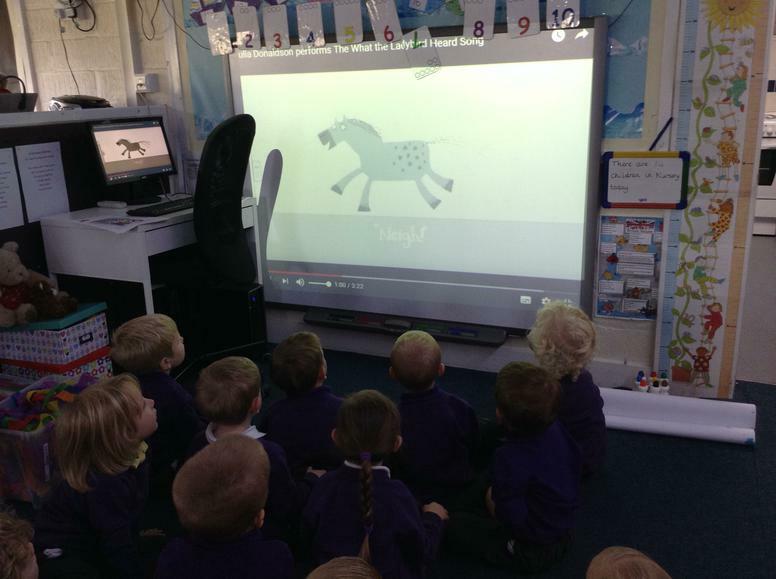 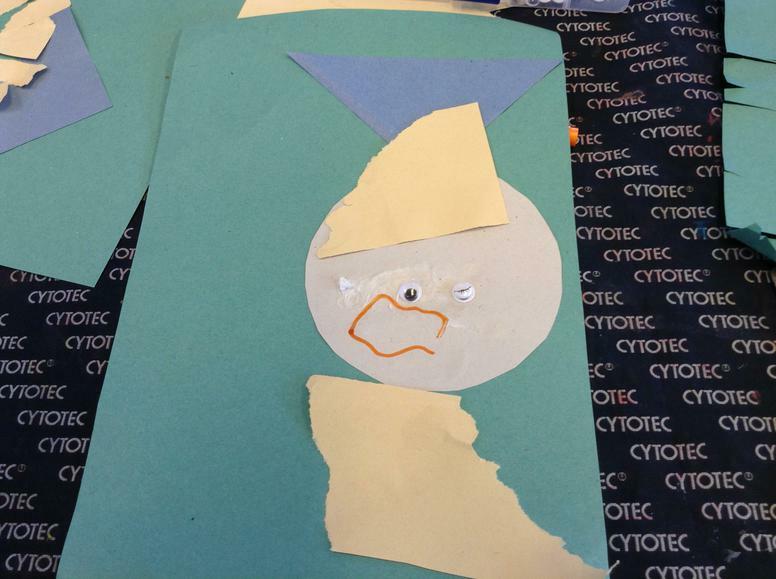 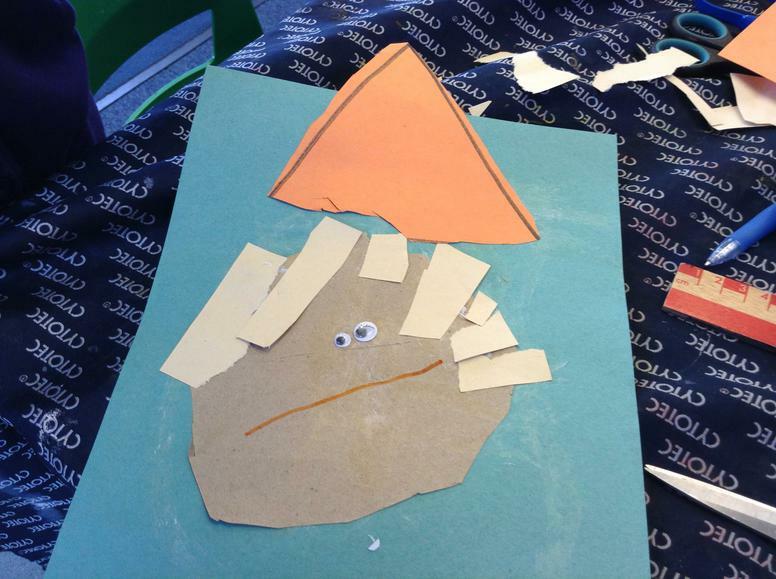 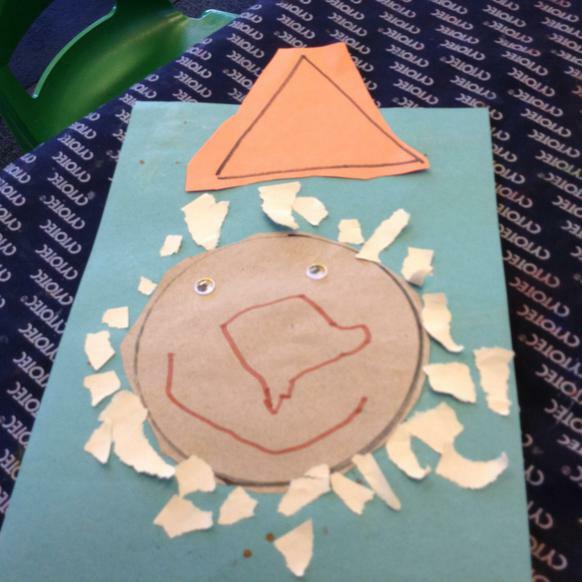 Can you remember the animals in the story? 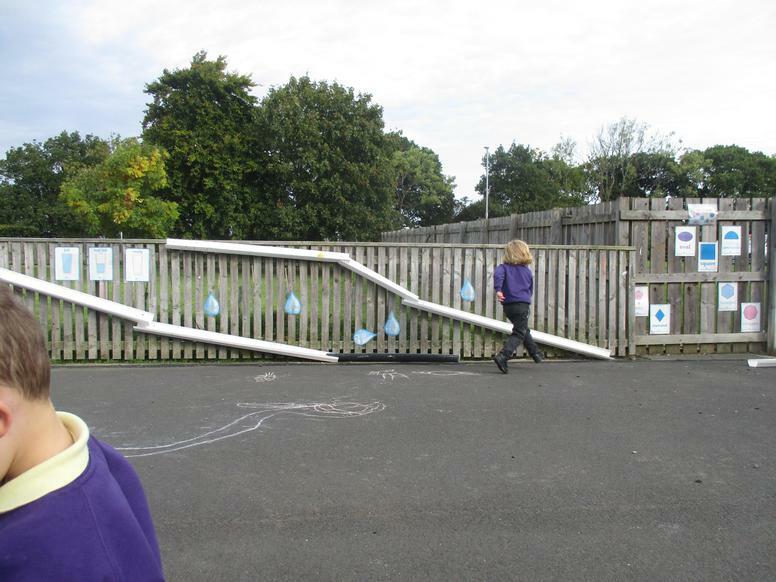 What were the robbers trying to steal? 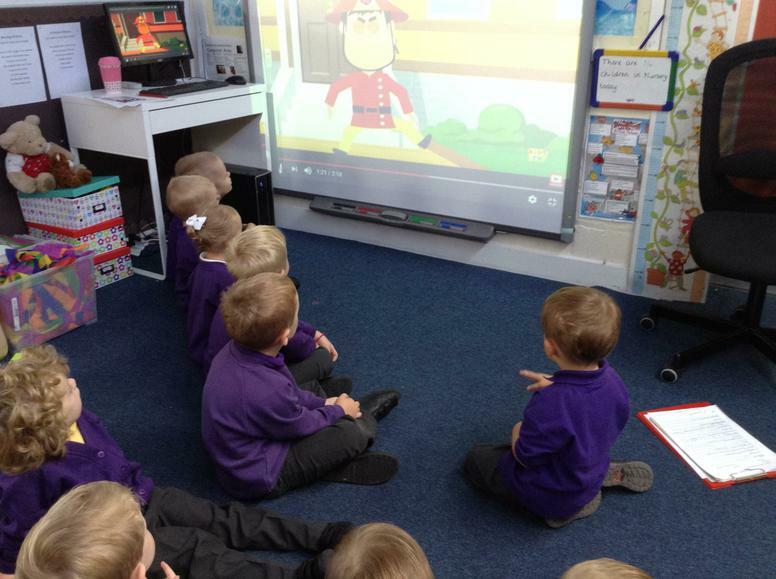 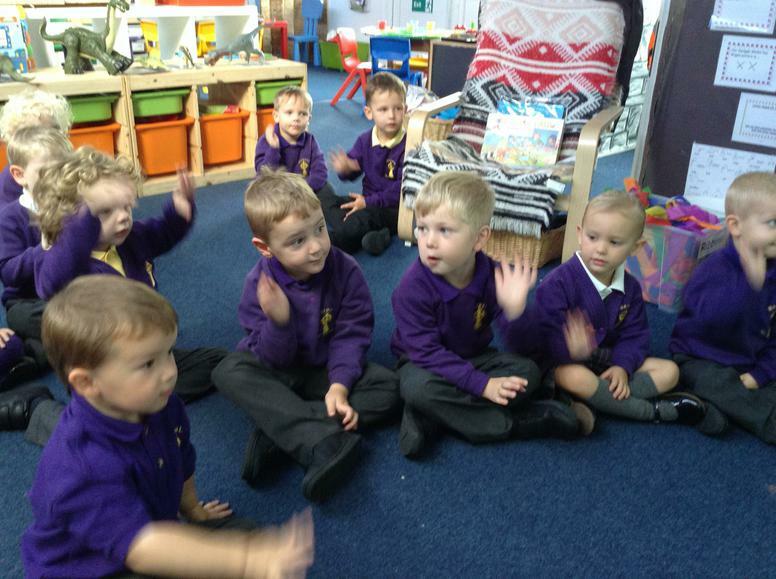 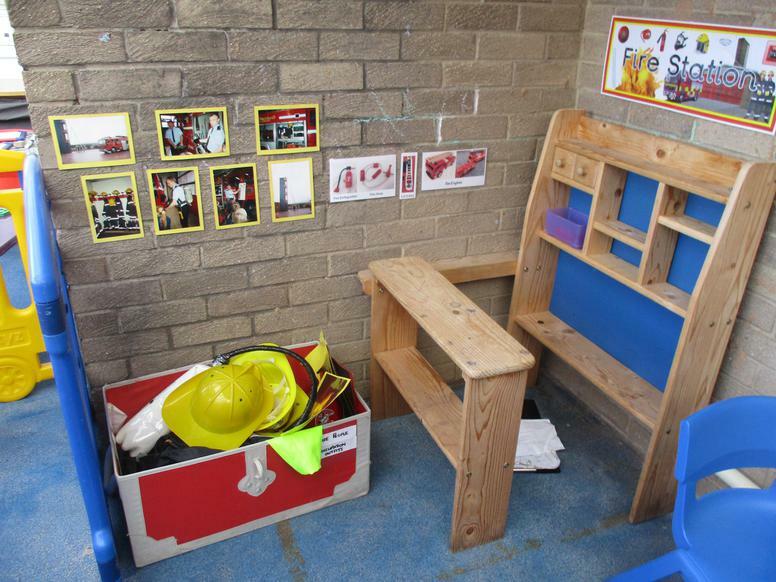 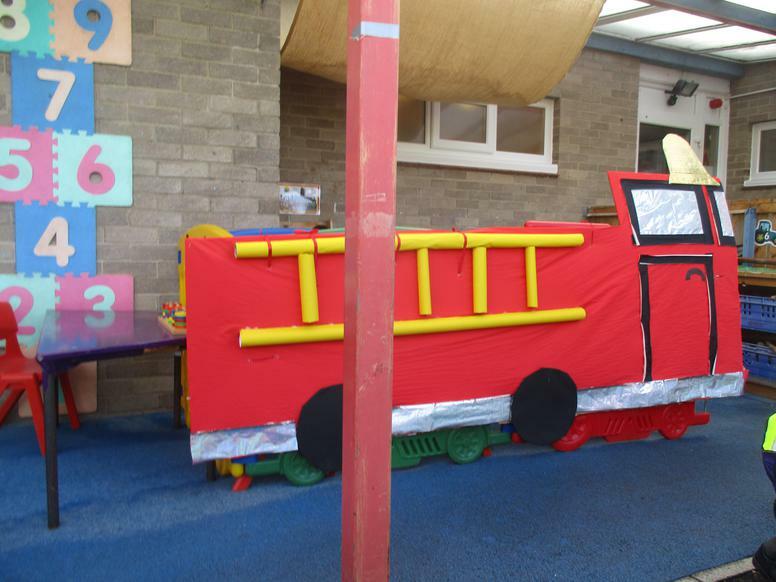 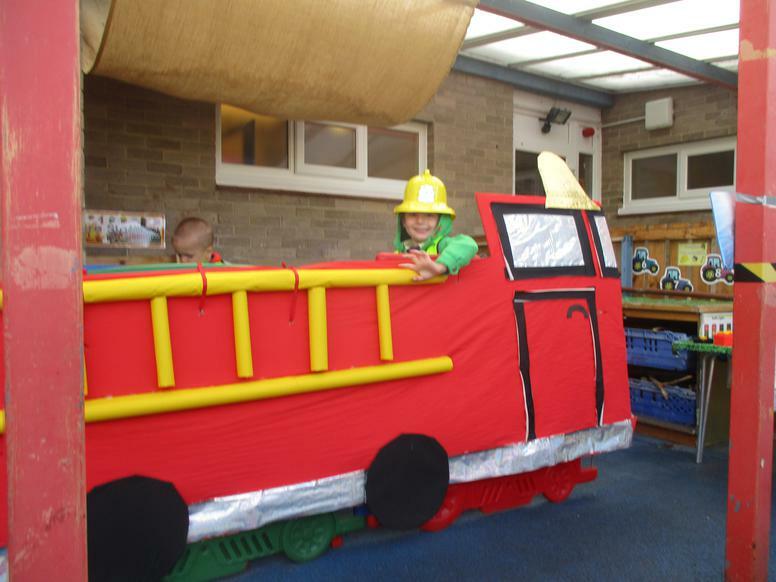 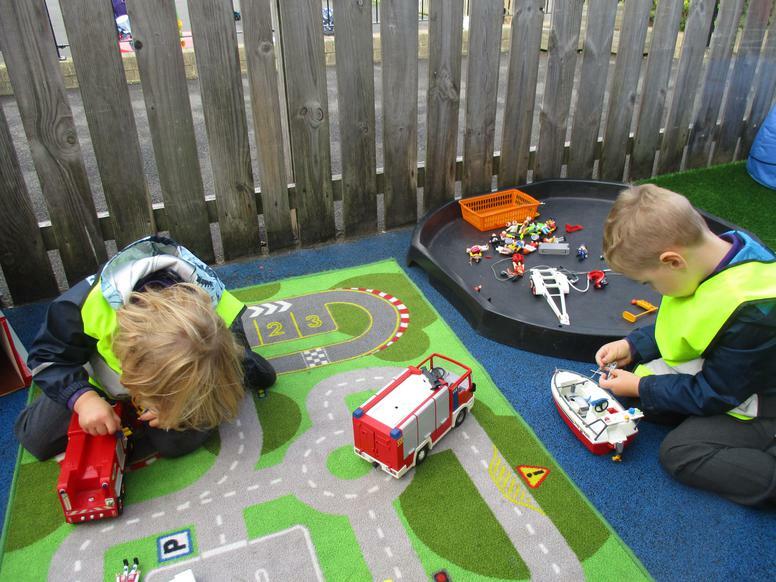 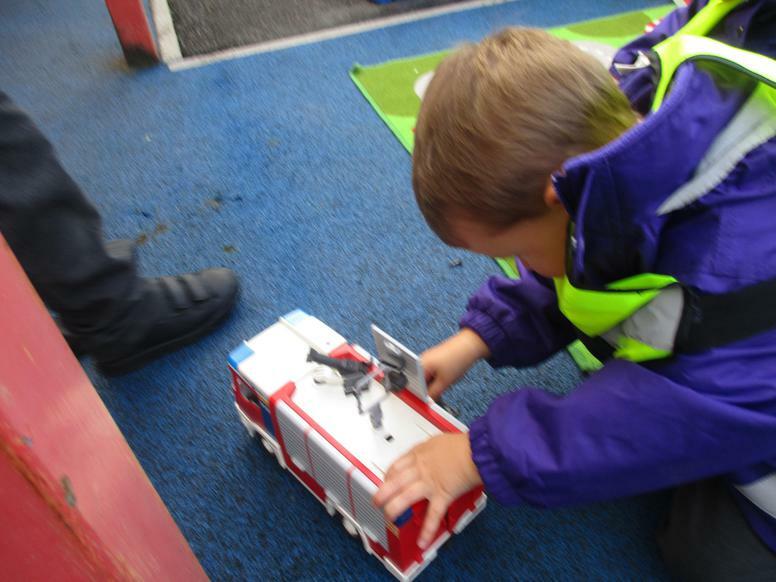 Linking with our fireman theme we enjoyed singing '5 Little Fireman' to the tune of 5 Little Monkeys. 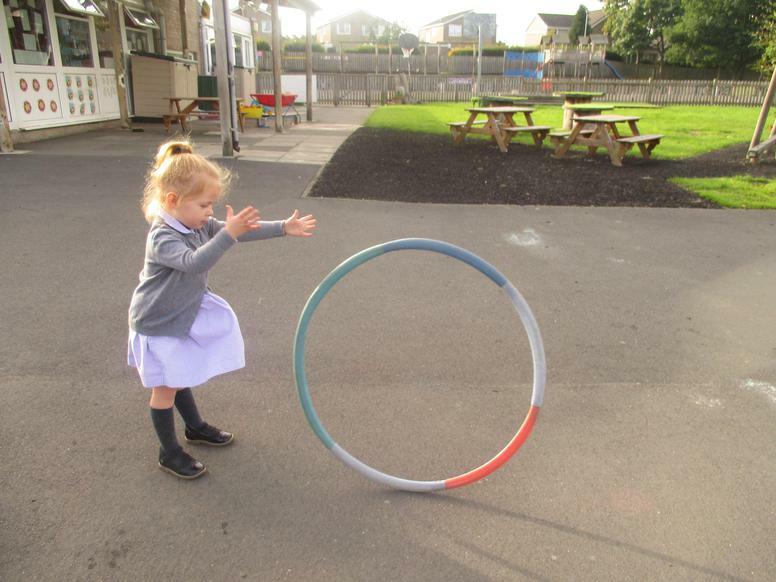 Can you practise this at home with a grown up? 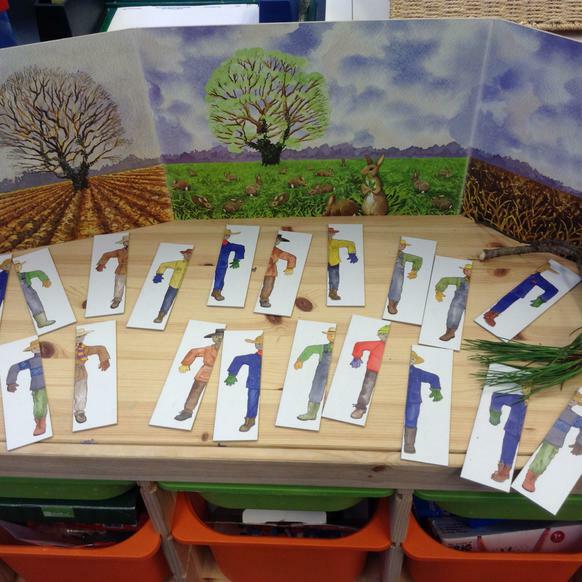 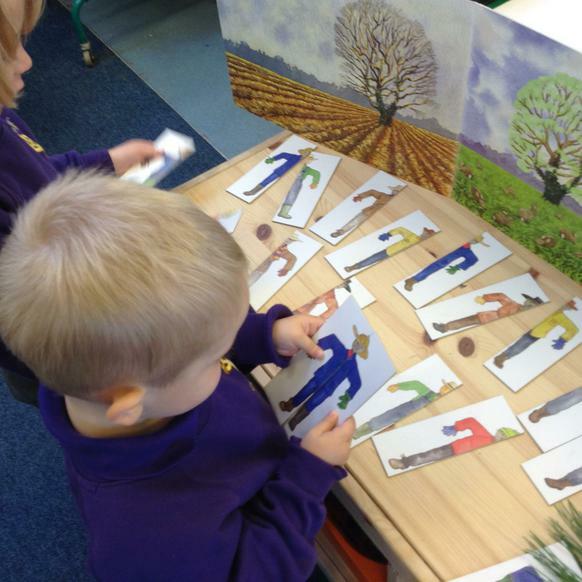 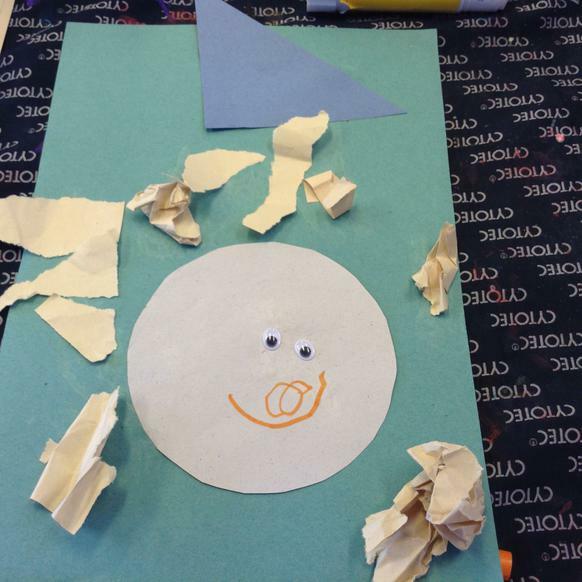 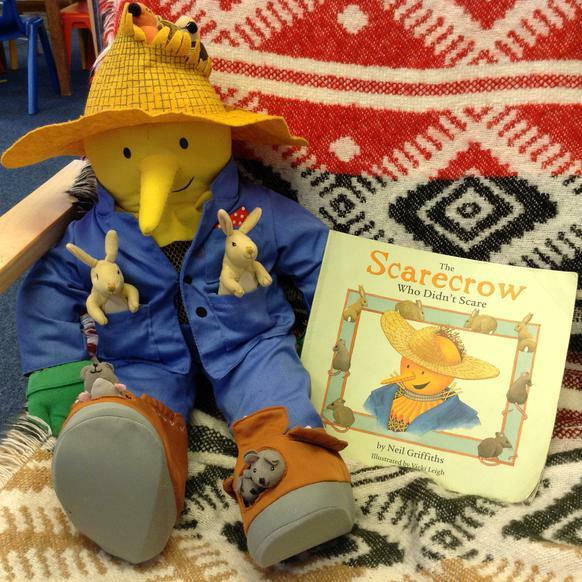 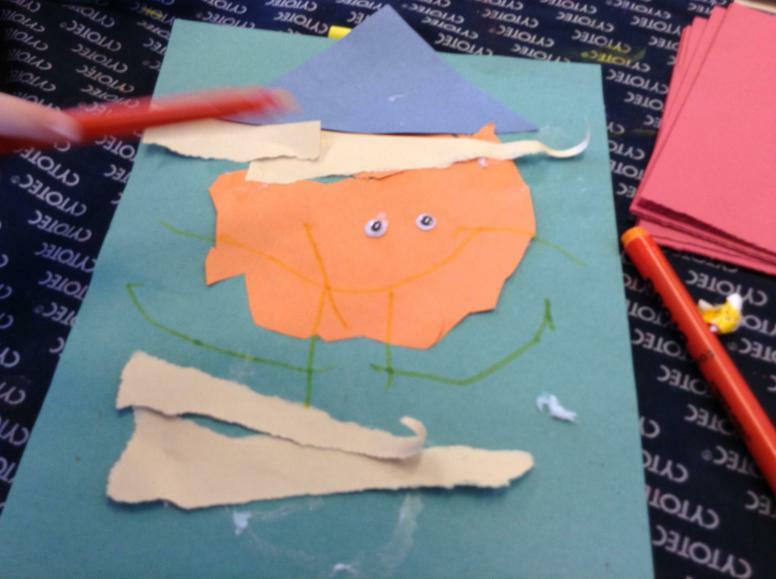 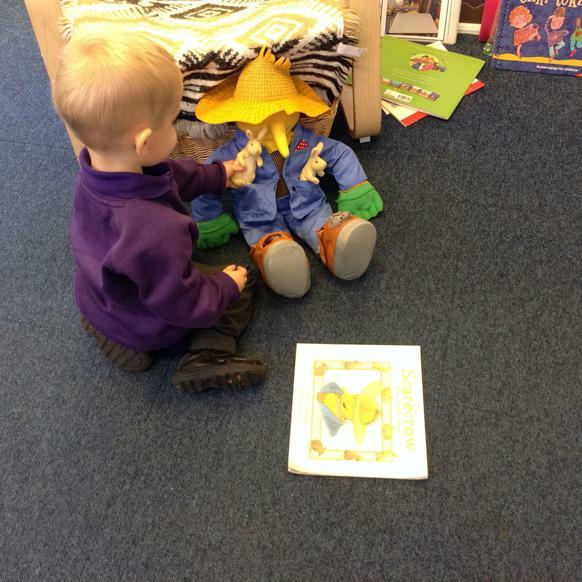 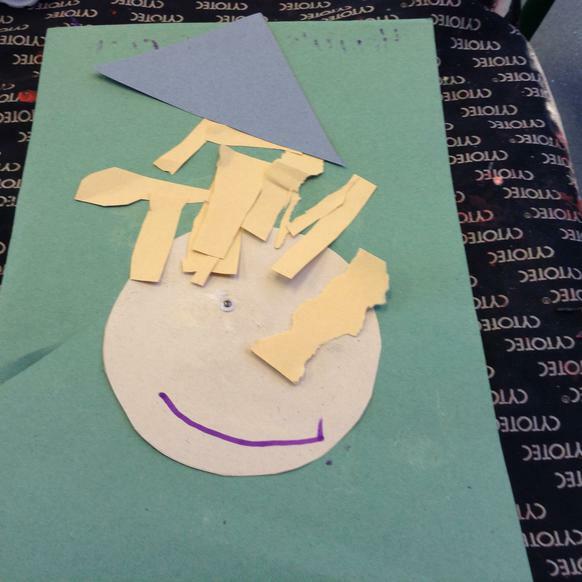 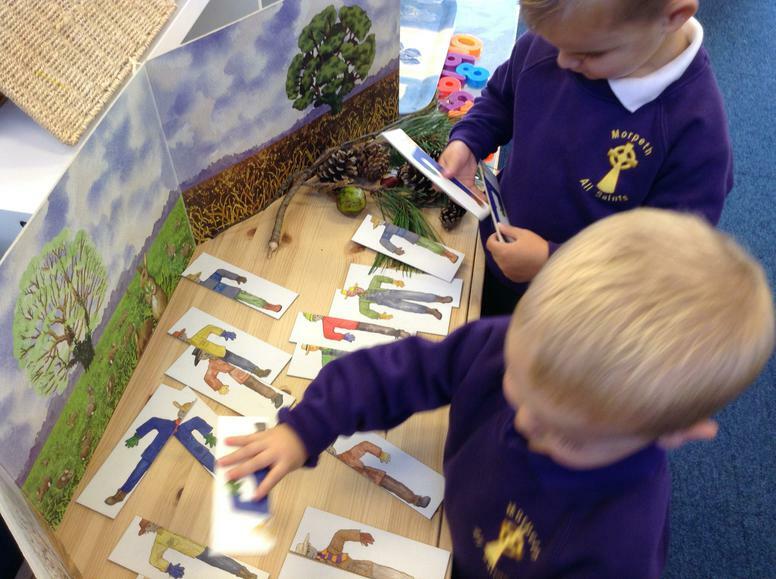 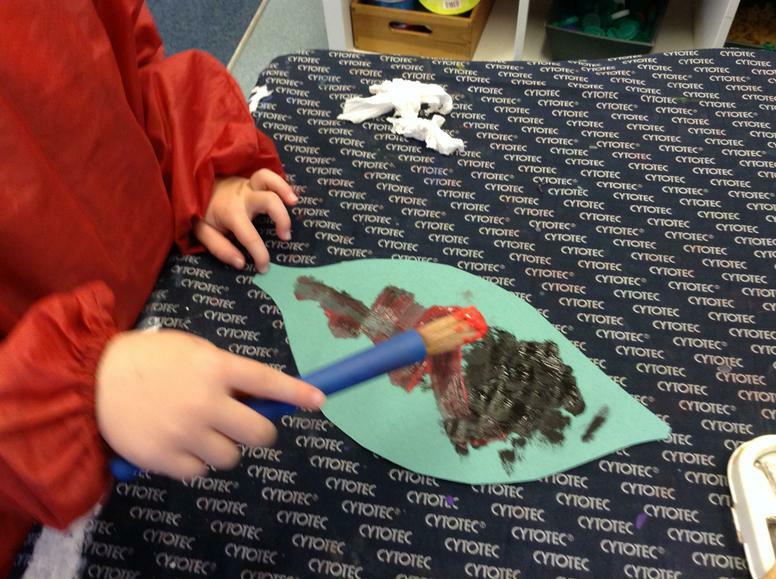 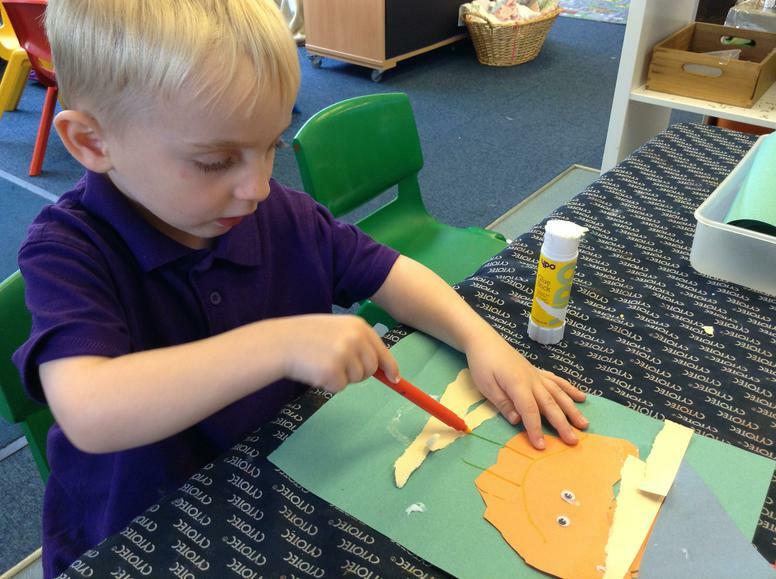 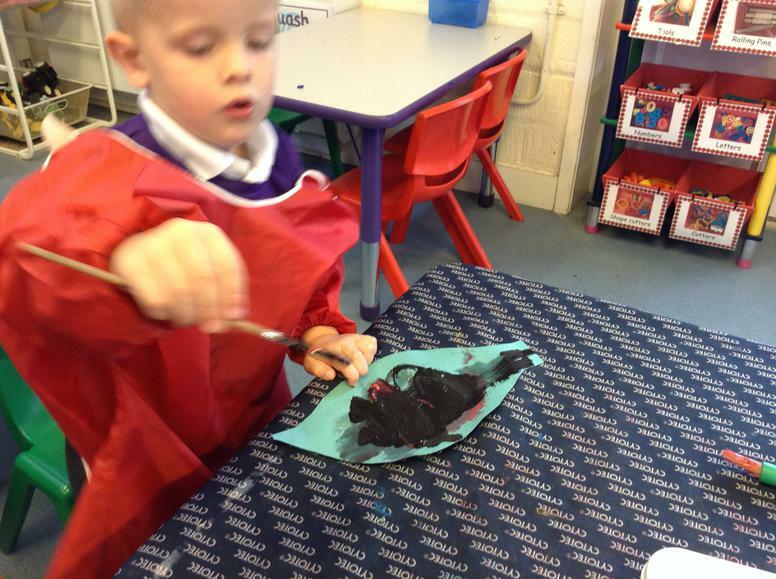 We will continue with the theme of farms next week and learn about scarecrows. 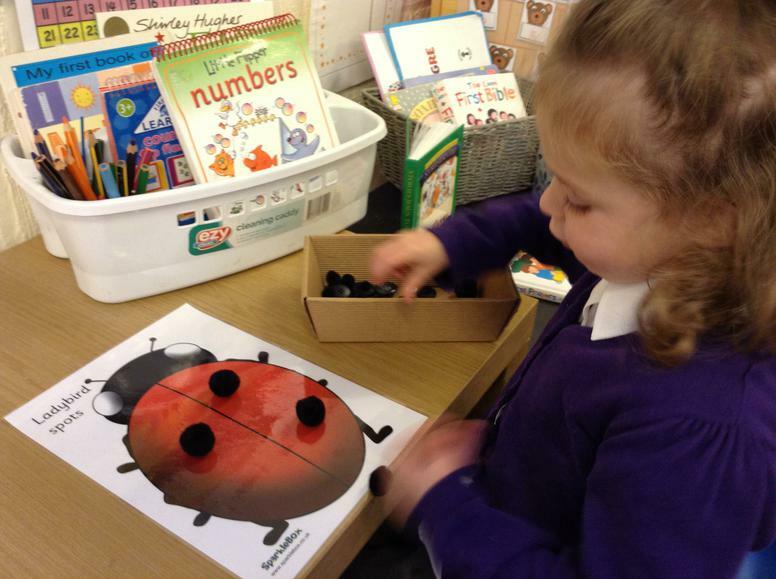 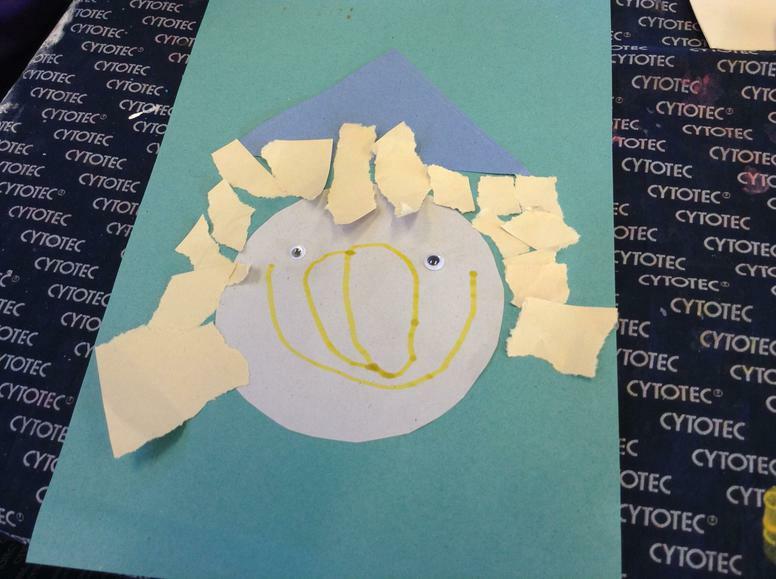 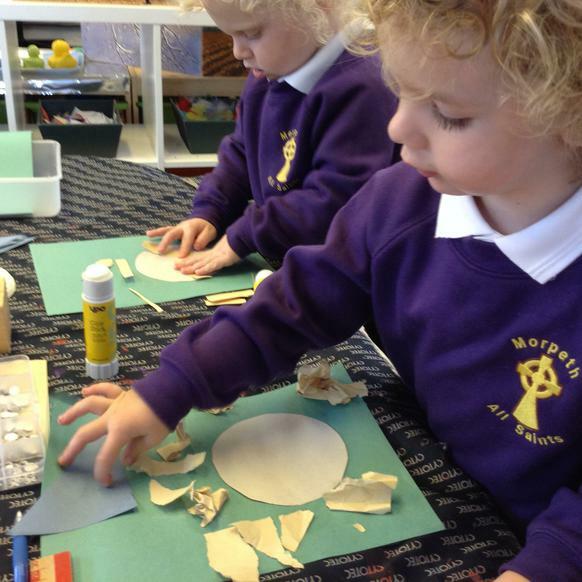 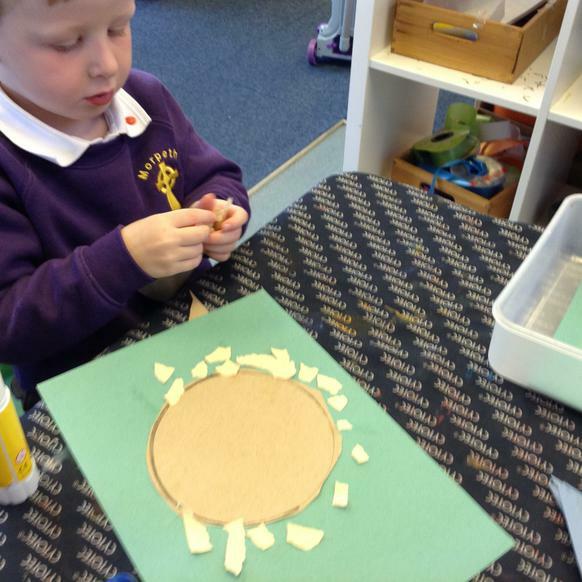 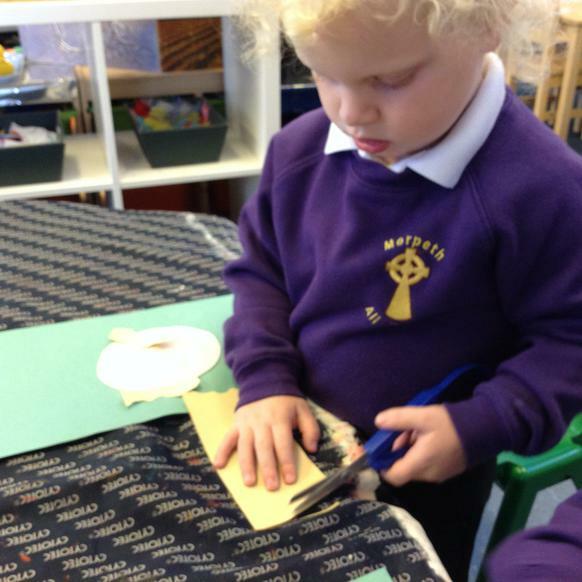 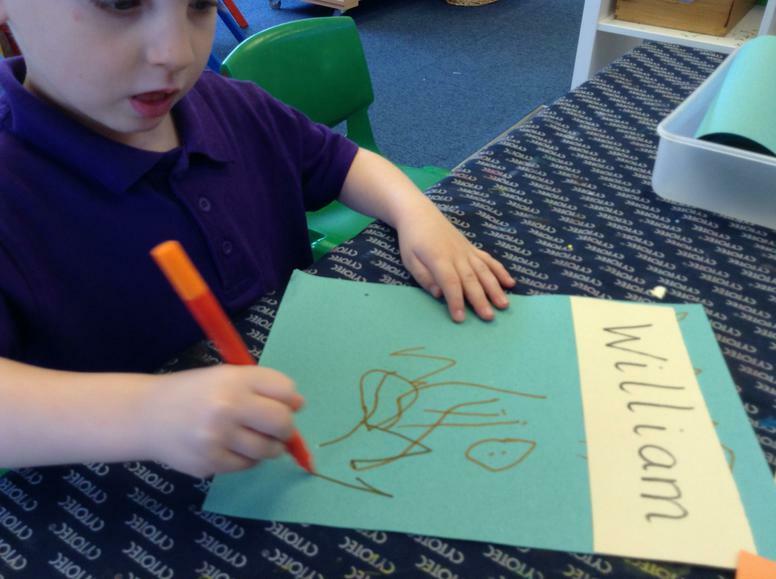 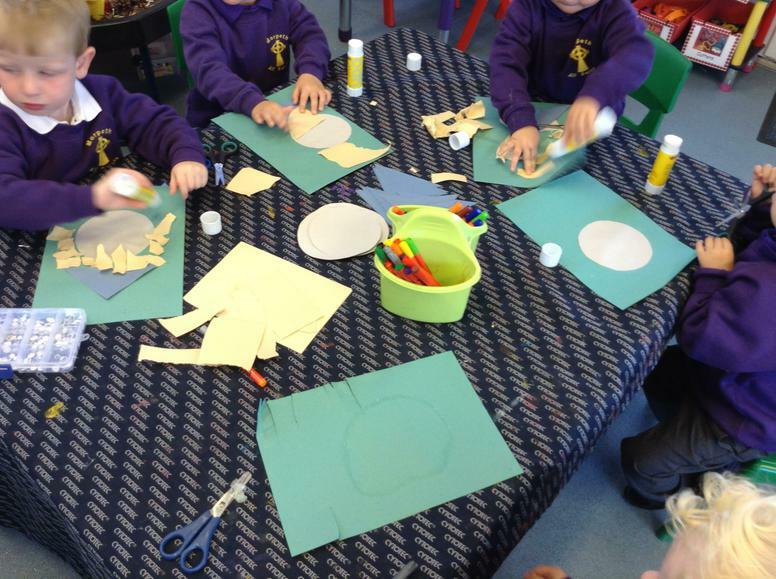 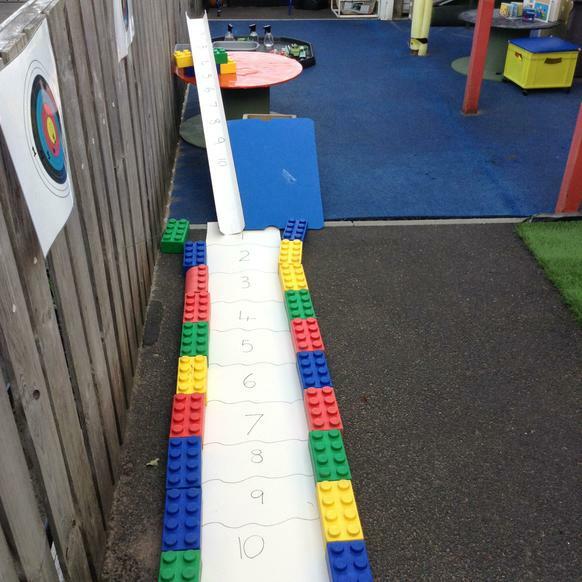 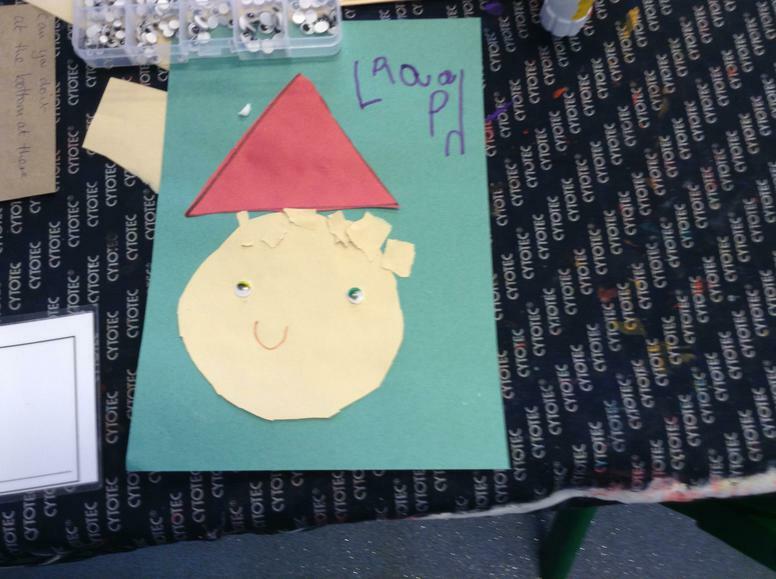 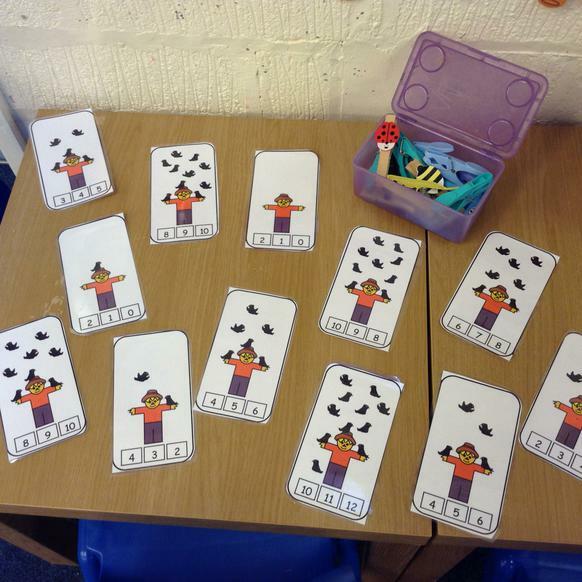 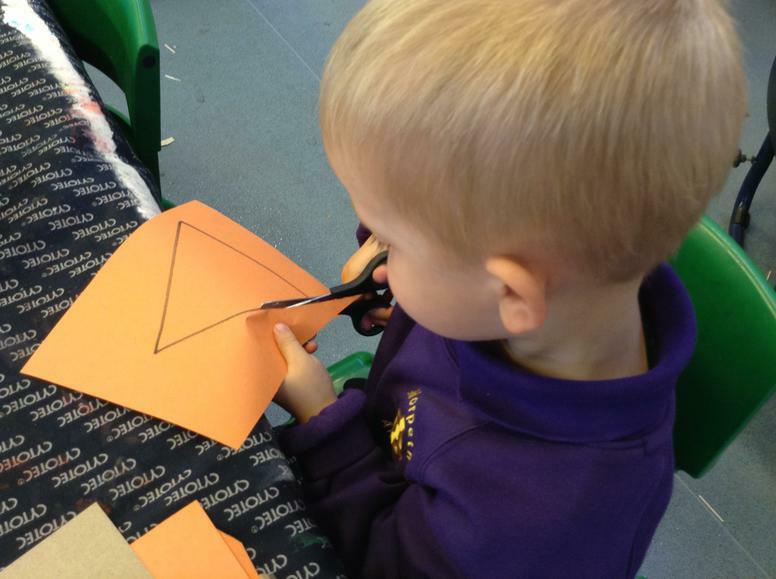 At the beginning of this week in nursery we have been looking at simple patterns that repeat. 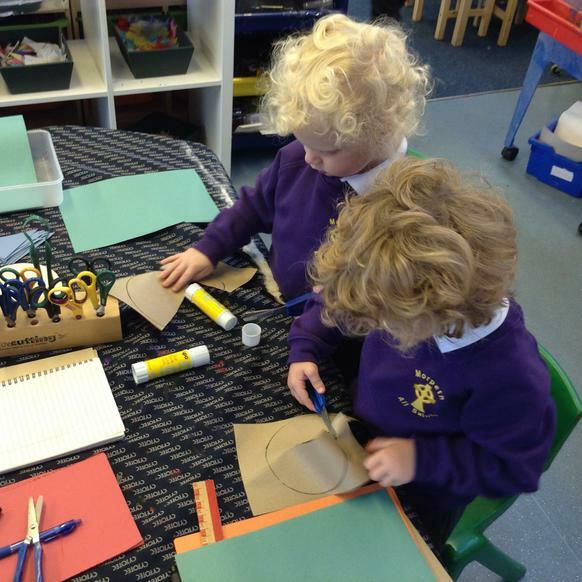 The children have printed their own using wooden blocks. 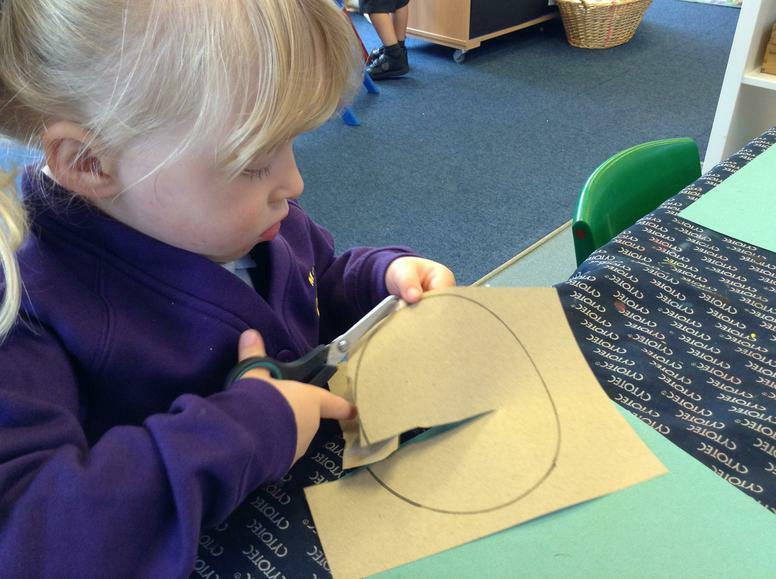 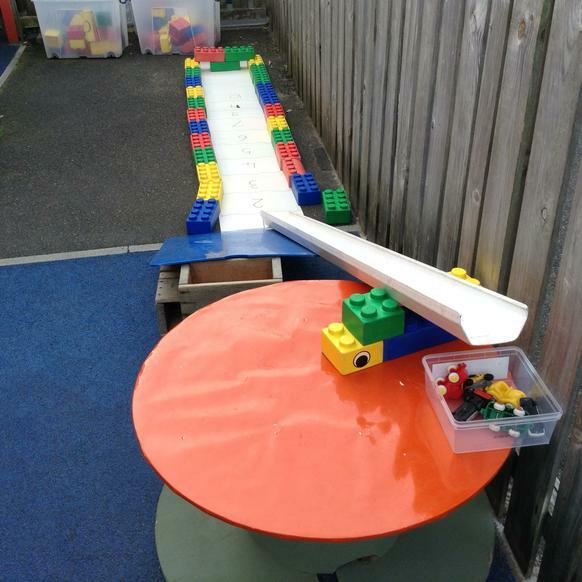 Could you make repeating patterns at home? 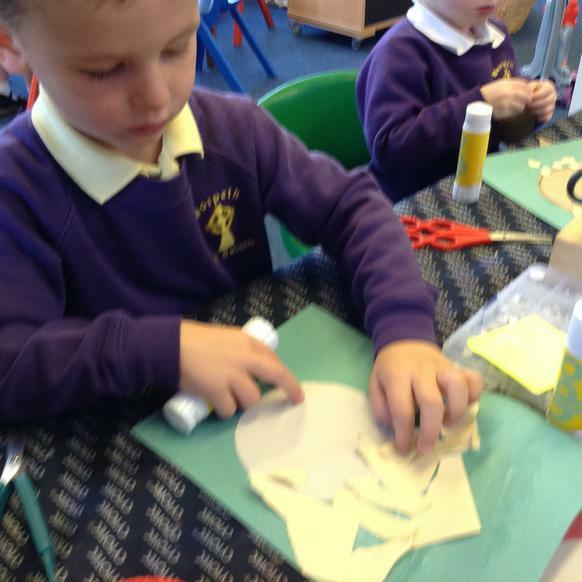 You need to listen very carefully to instructions. 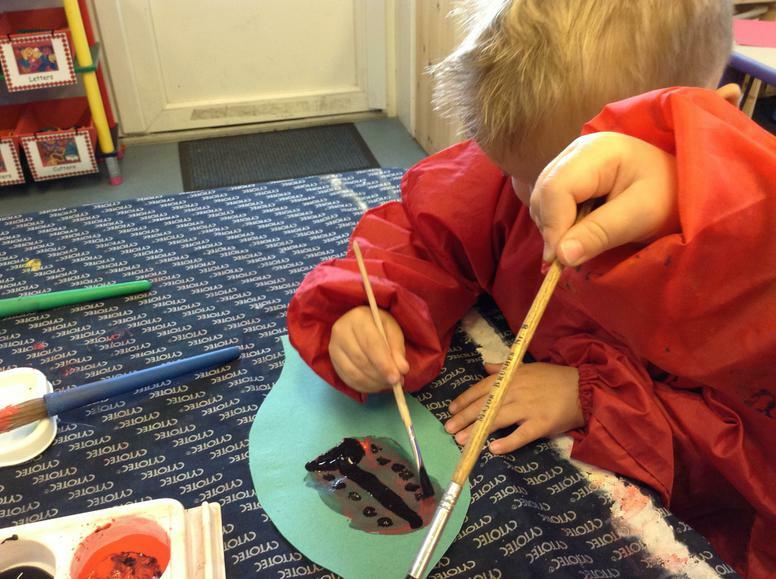 Can you change the pattern? 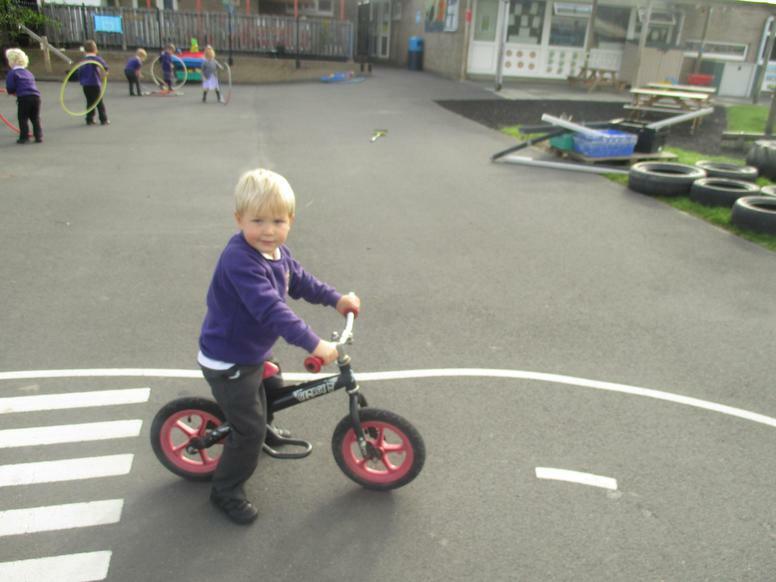 What a super start to our new school term. 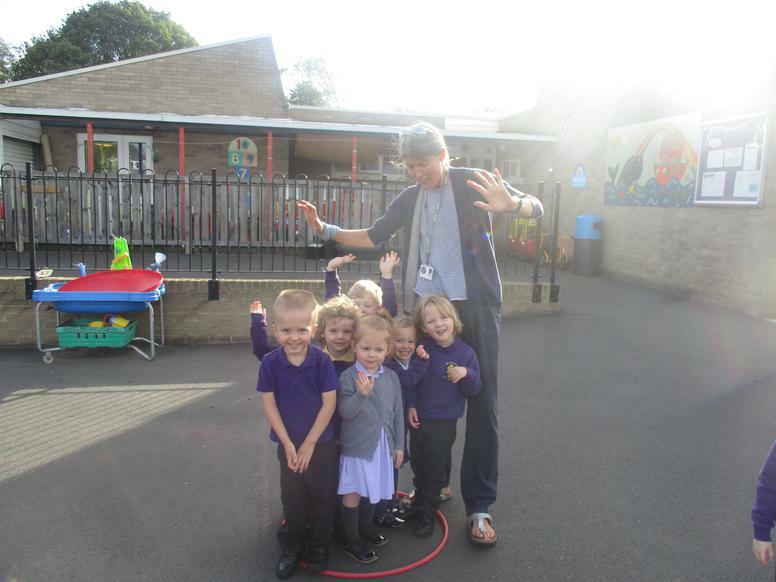 Welcome to our new starters and our 'old timers'. 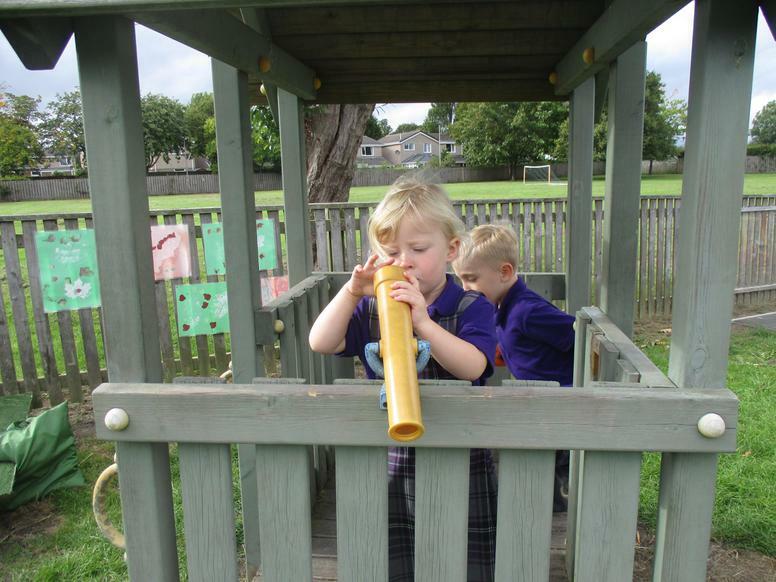 It is great to see you all back at school after a long, summer holiday. 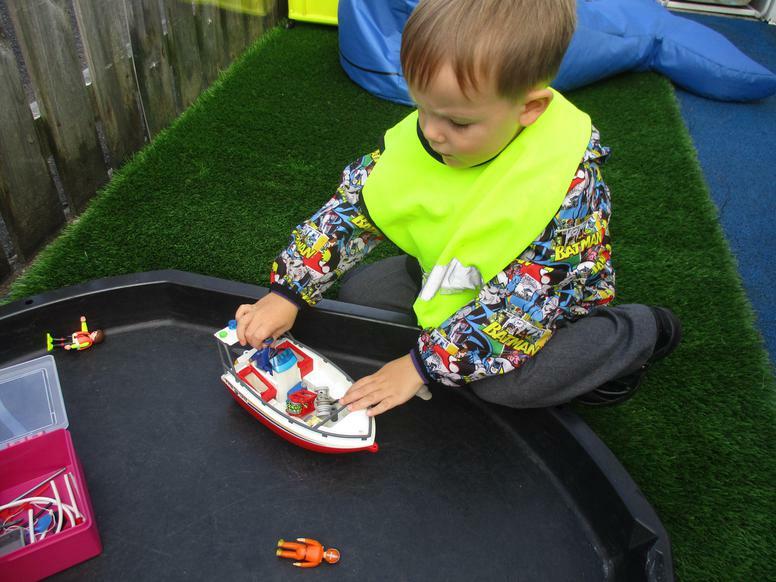 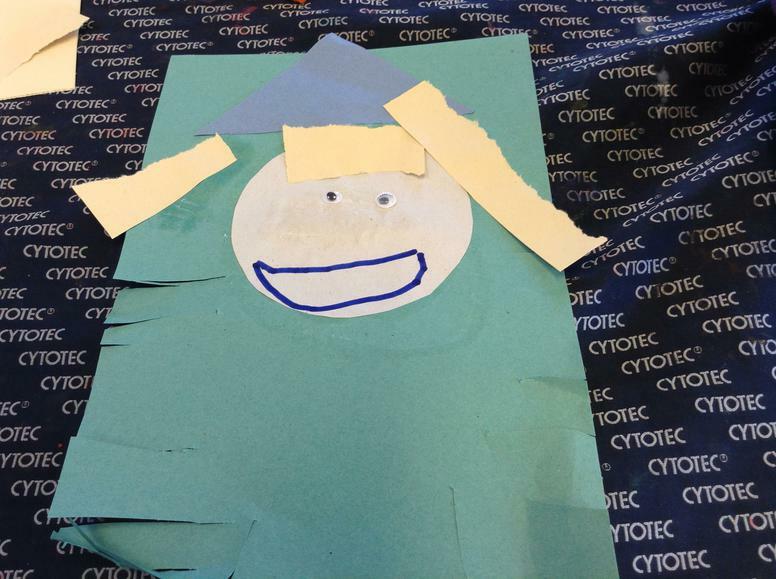 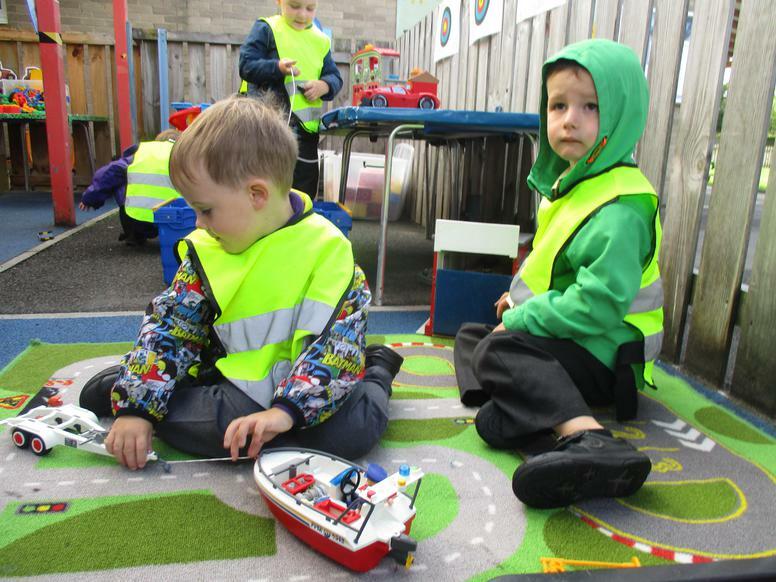 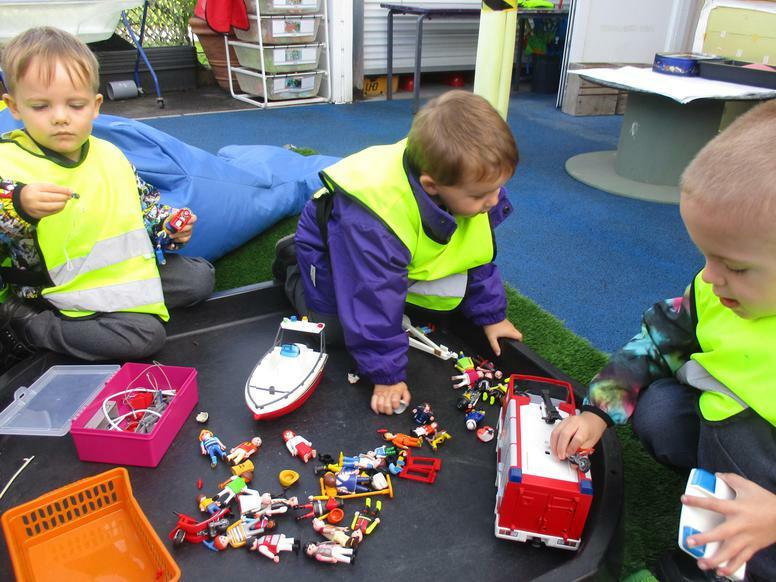 This week we will be spending time settling the new children and encouraging lots of sharing and 'getting to know you' games and activities. 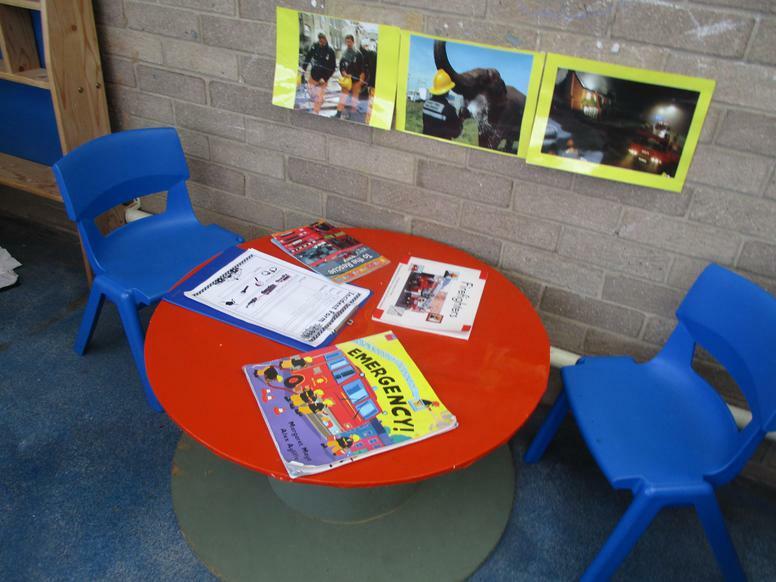 We will shortly be issuing an Early Years newsletter and inviting our new starters parents to a short meeting about Tapestry (our online records) and phonics.